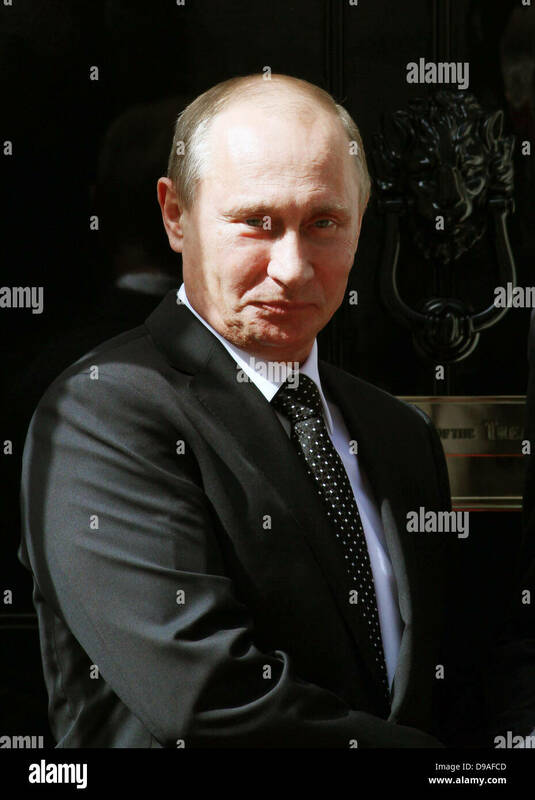 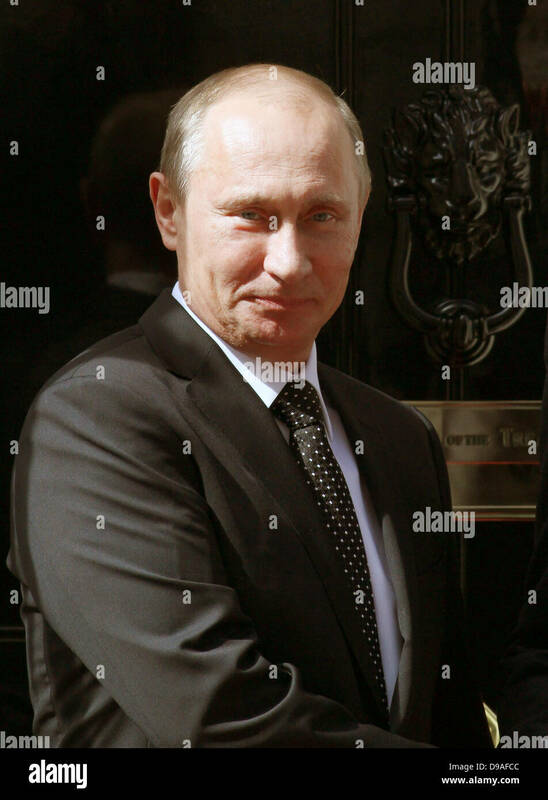 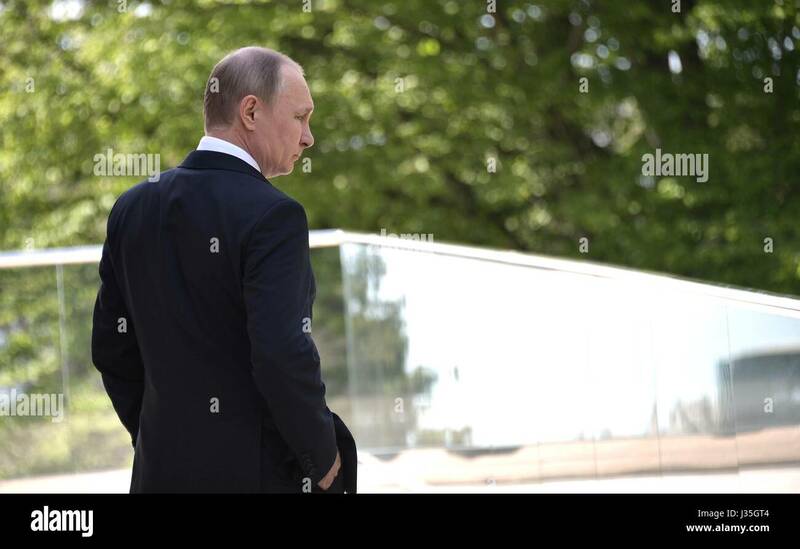 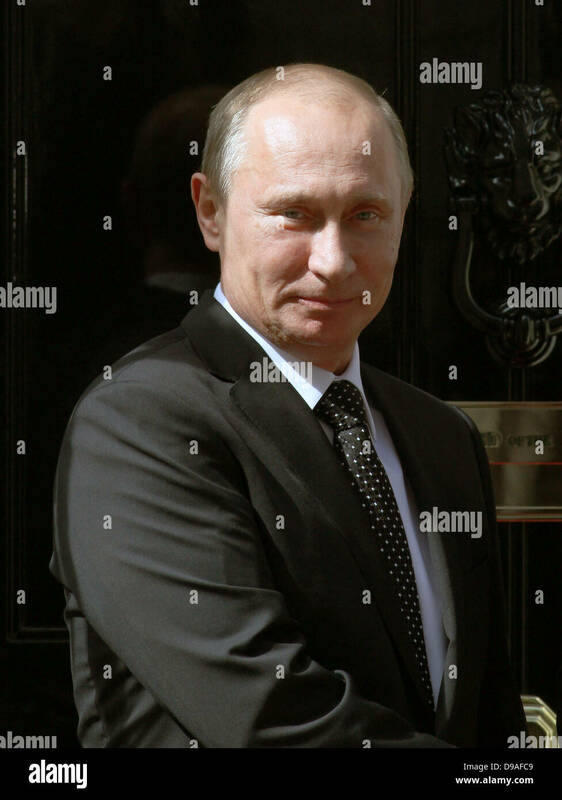 Russian President Vladimir Putin waits for arrival of German Chancellor Angela Merkel at his Black Sea residence May 2, 2017 in Sochi, Russia. 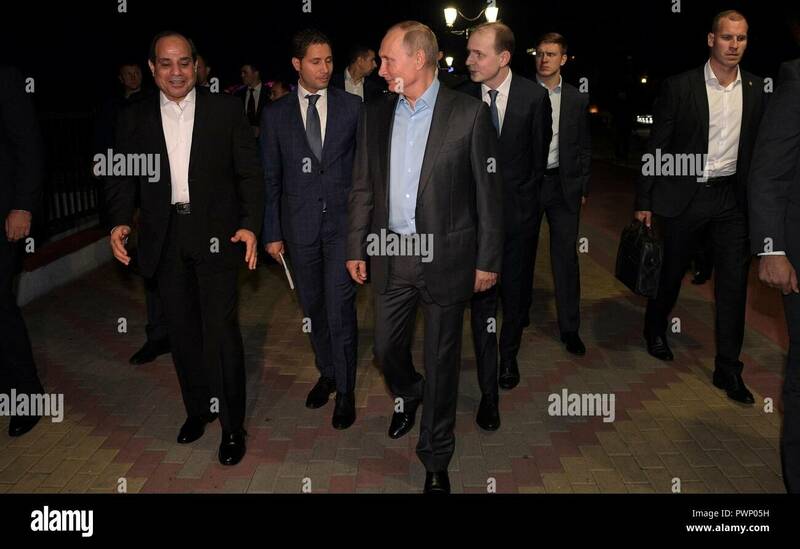 Merkel is in the Russian resort town to discuss the conflicts in Syria and Ukraine. 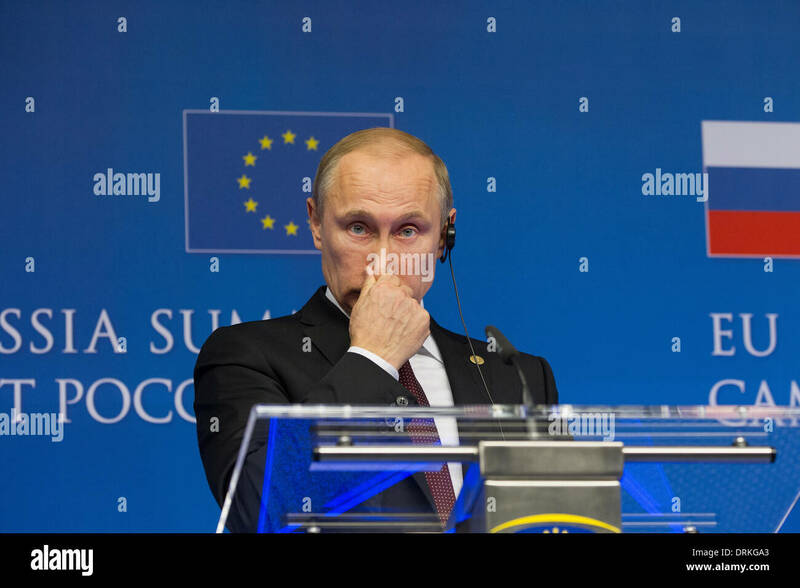 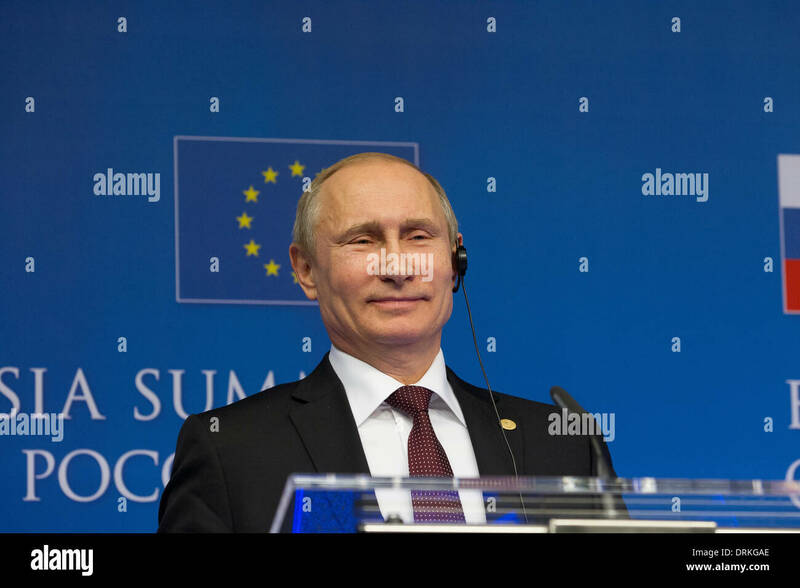 Russian President Vladimir Putin answers questions during the annual meeting with international news organization heads at the St. Petersburg International Economic Forum June 1, 2017 in St Petersburg, Russia. 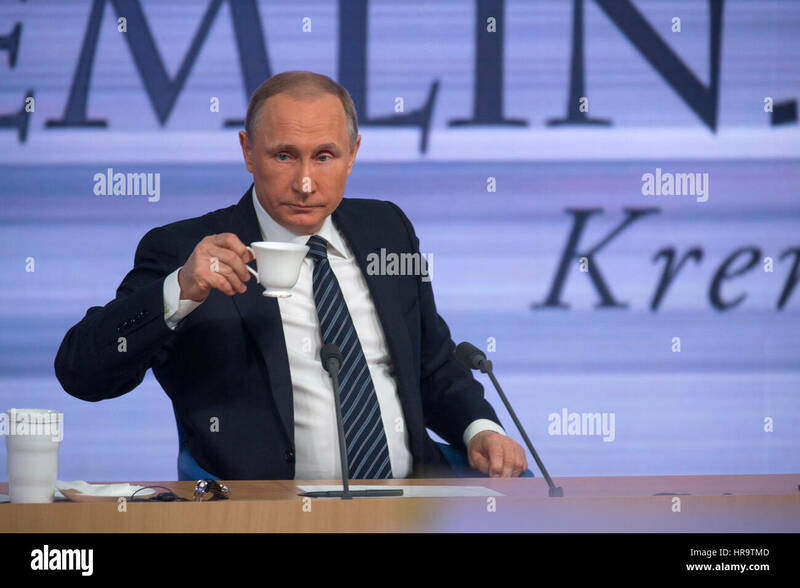 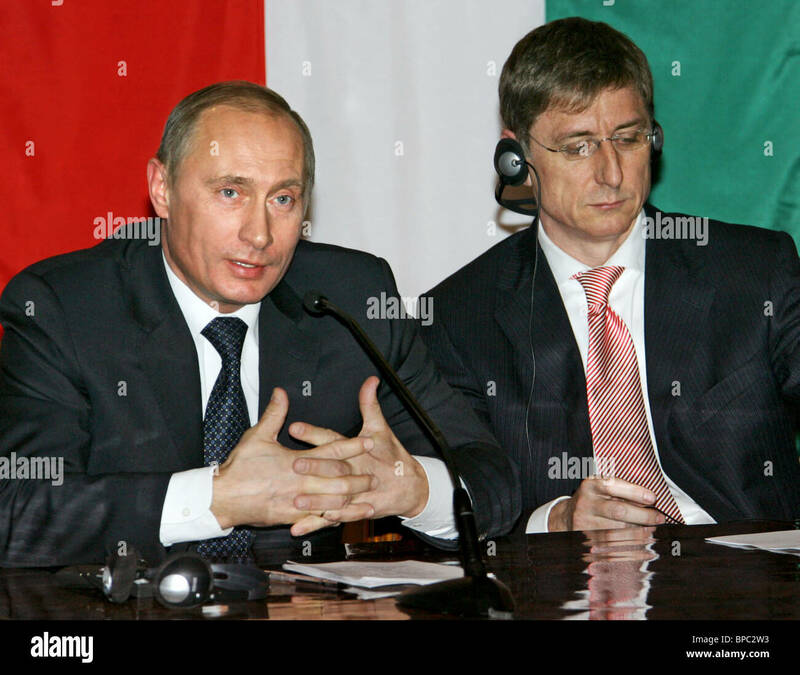 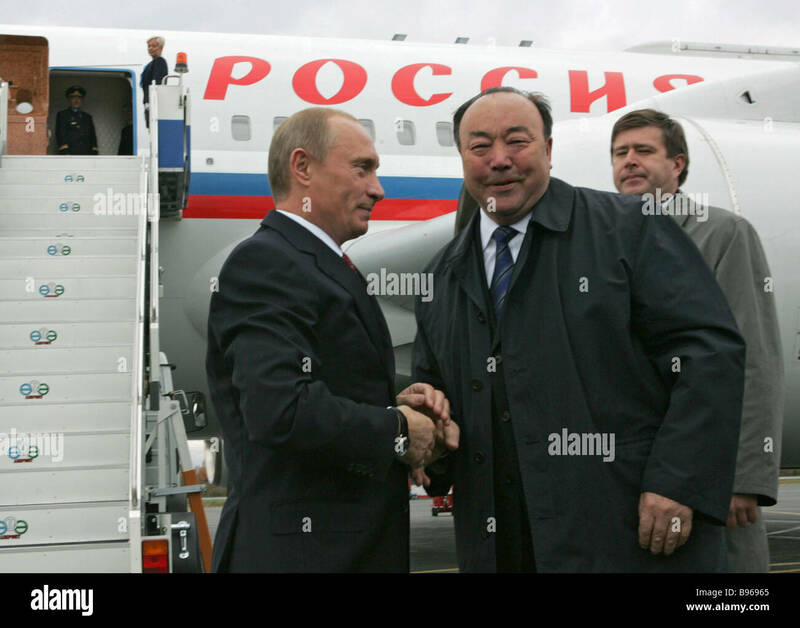 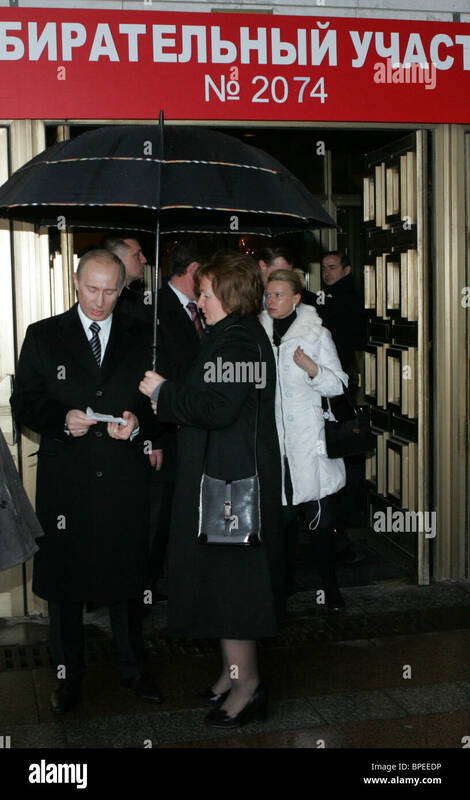 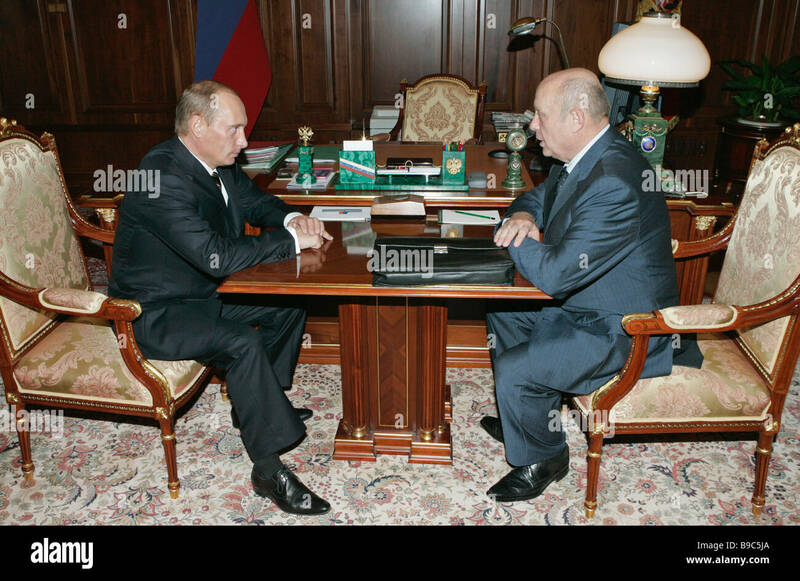 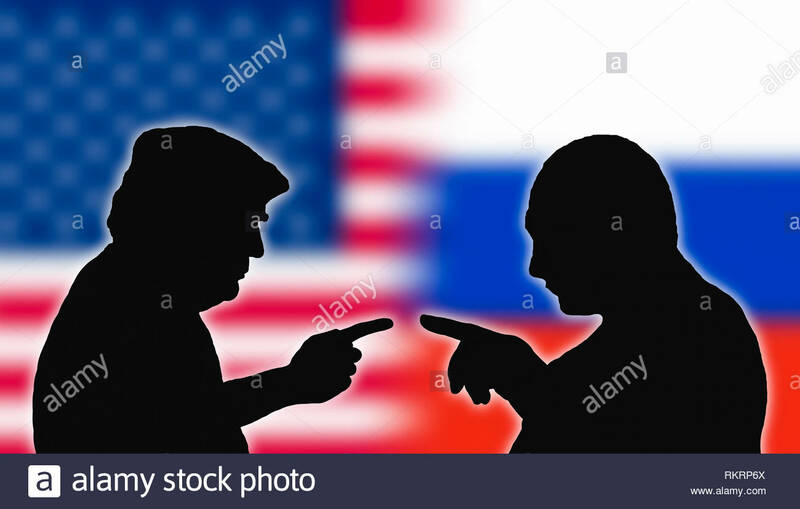 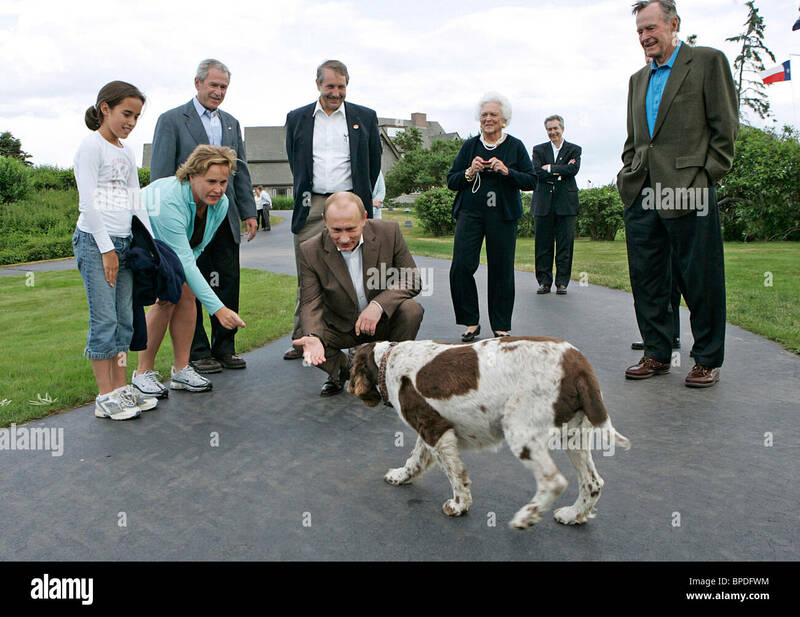 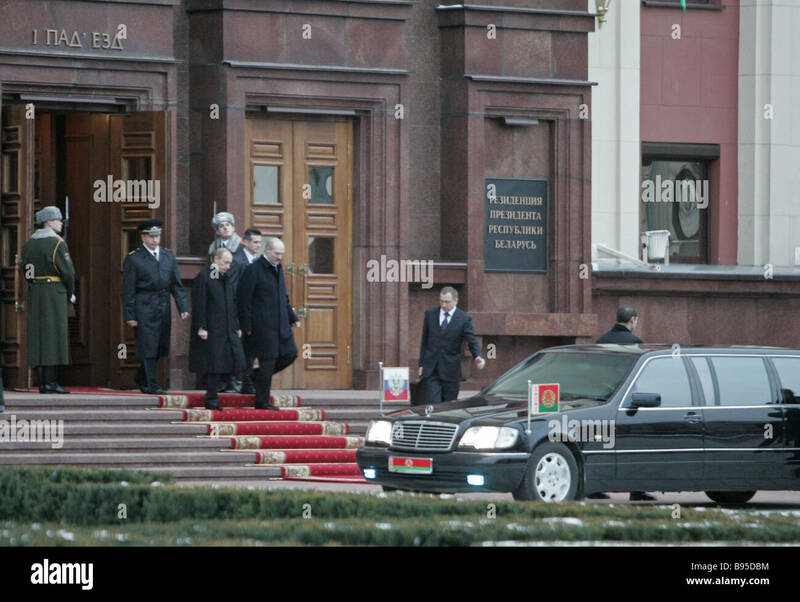 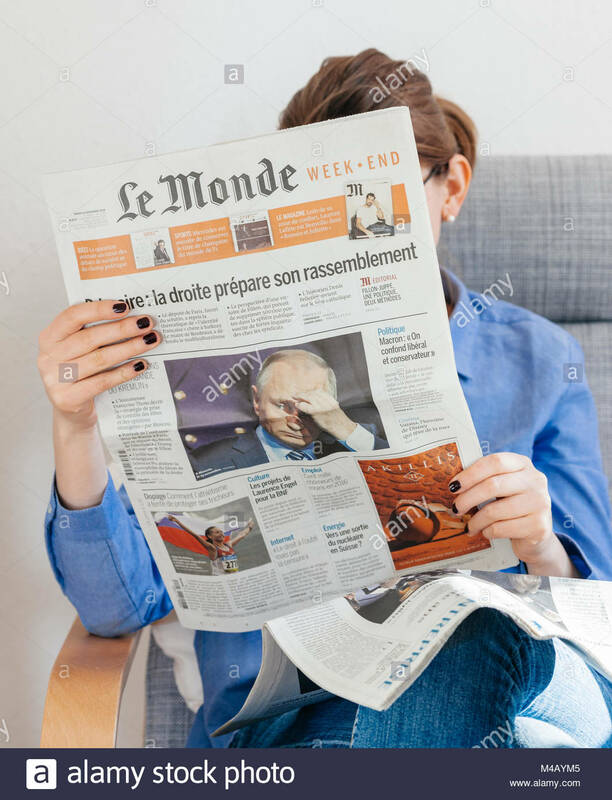 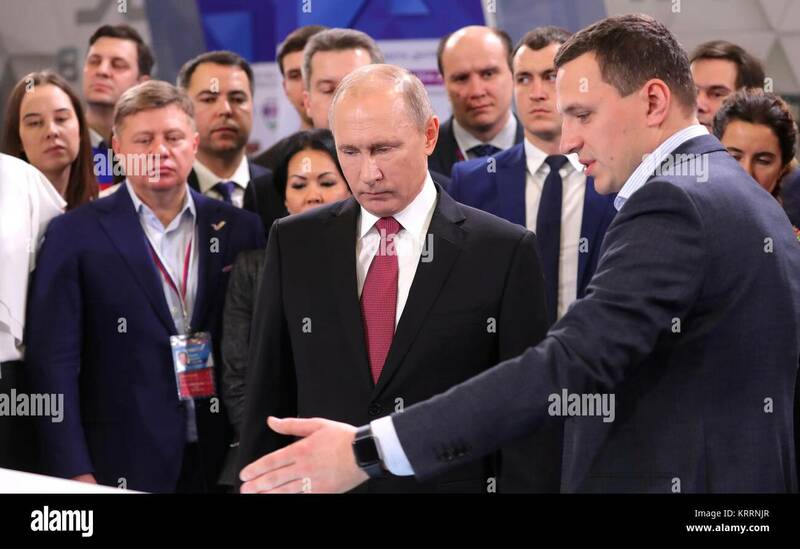 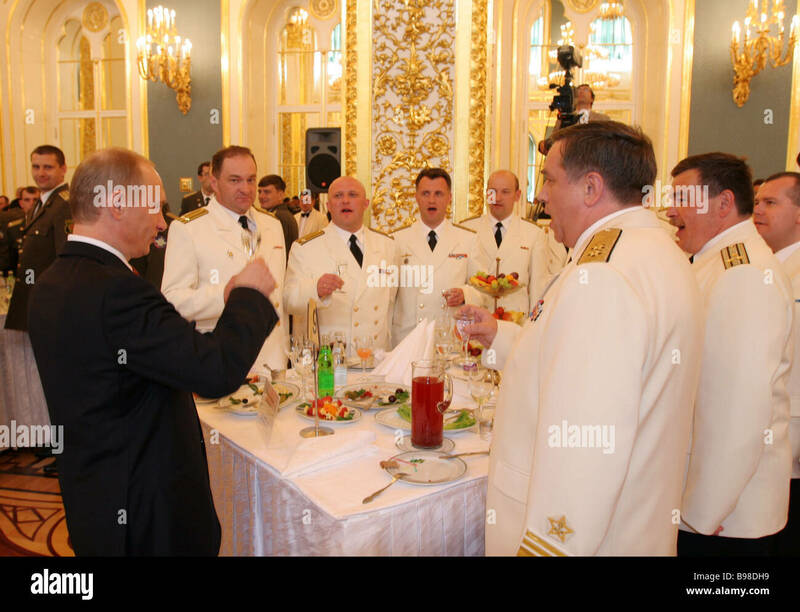 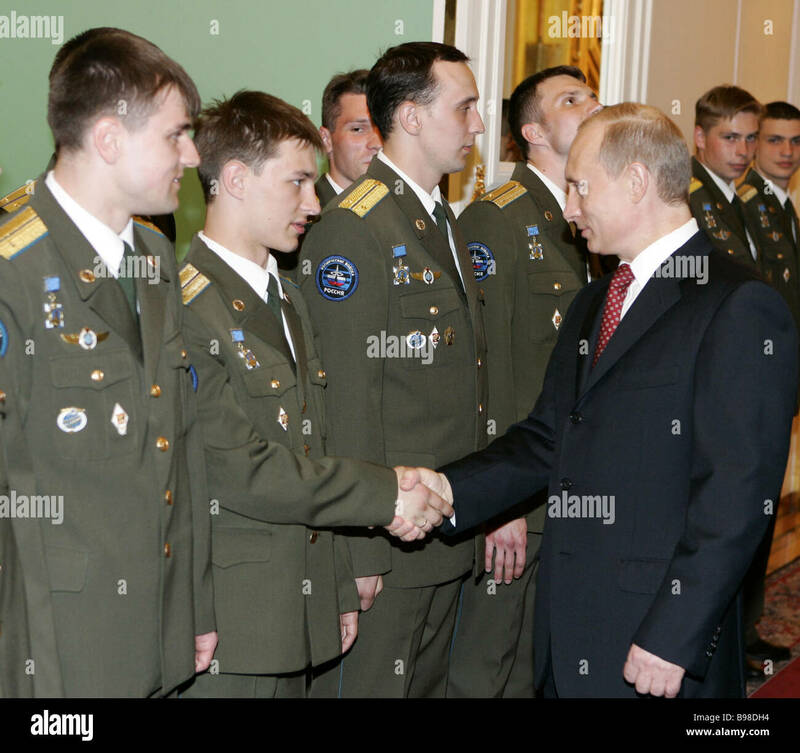 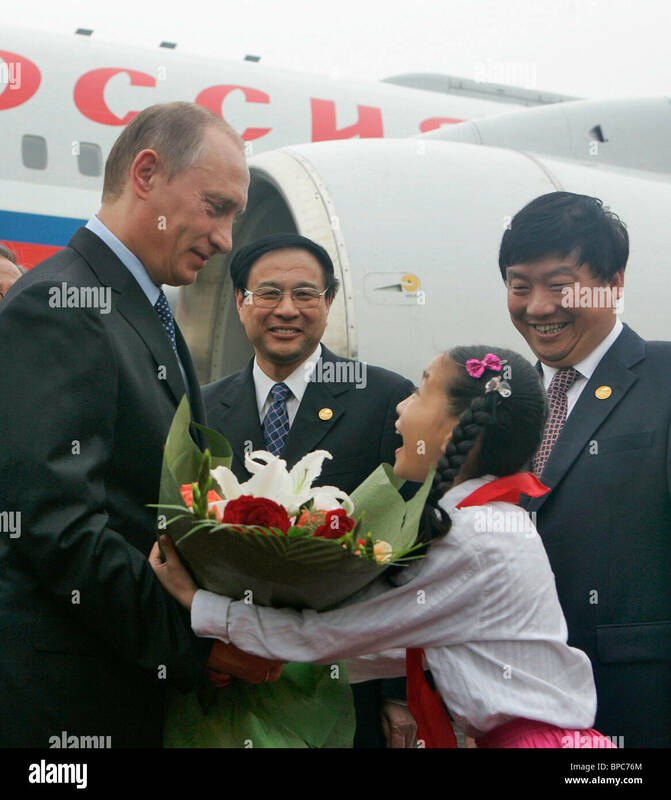 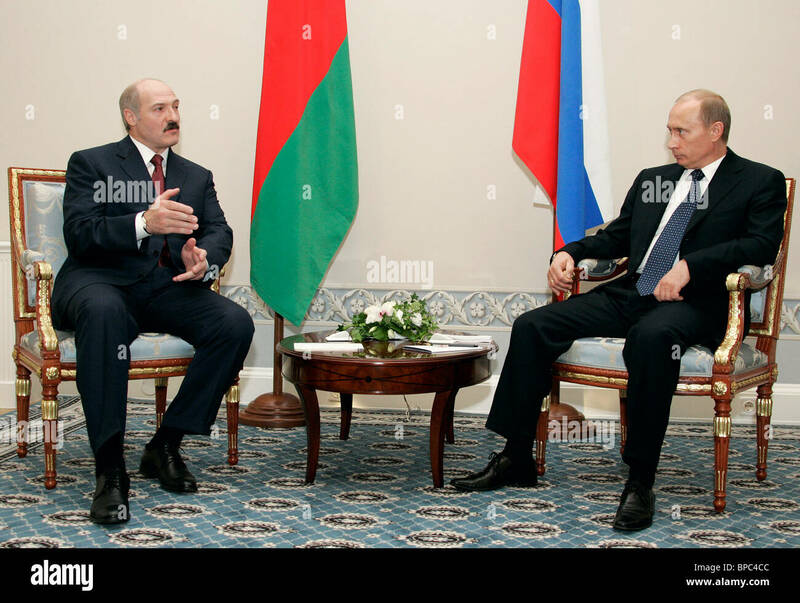 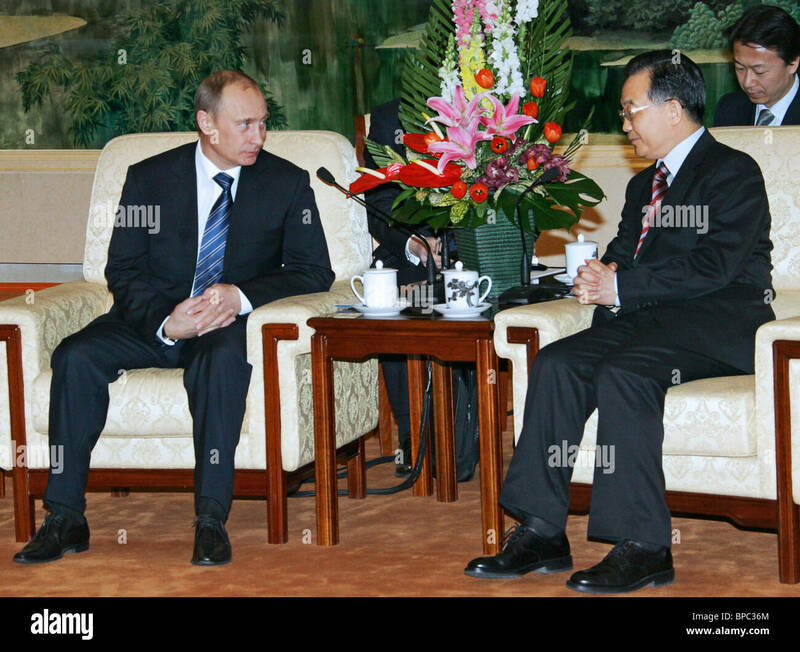 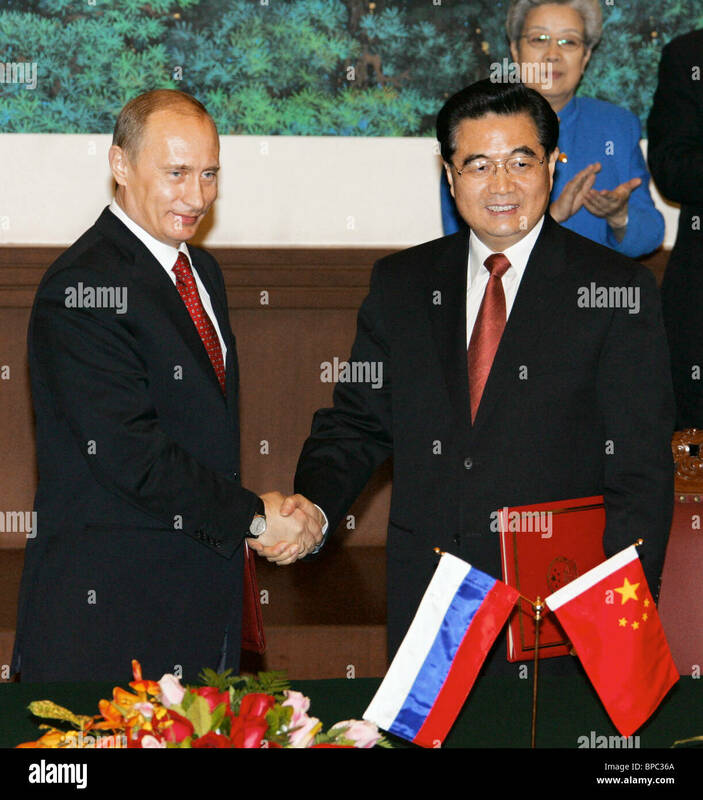 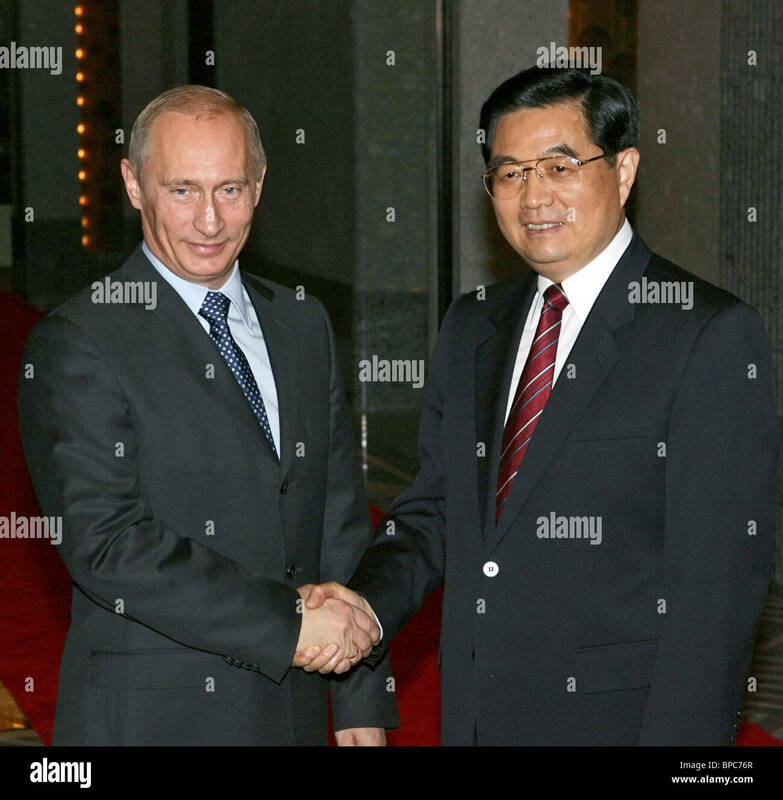 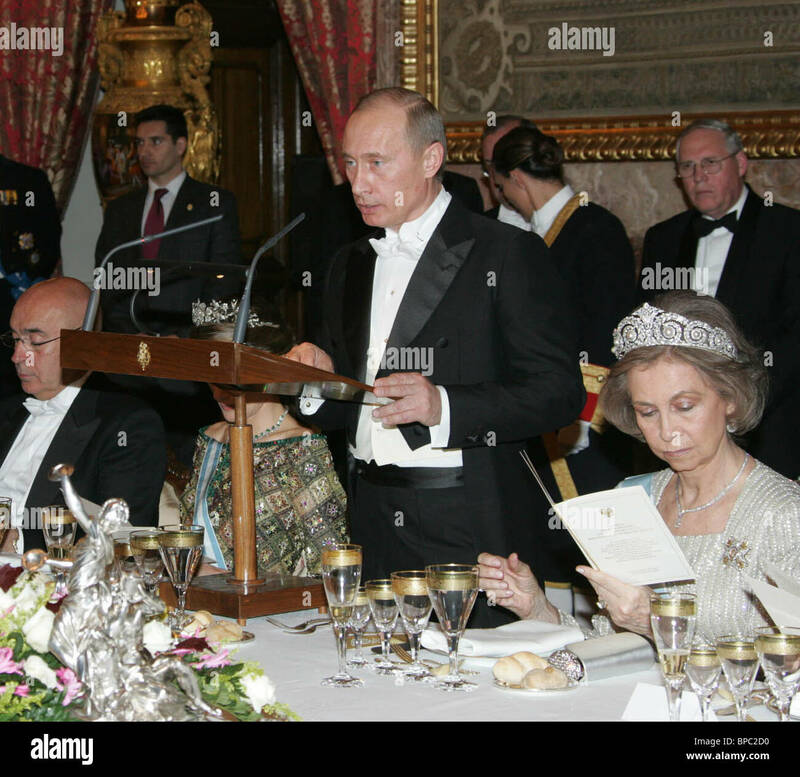 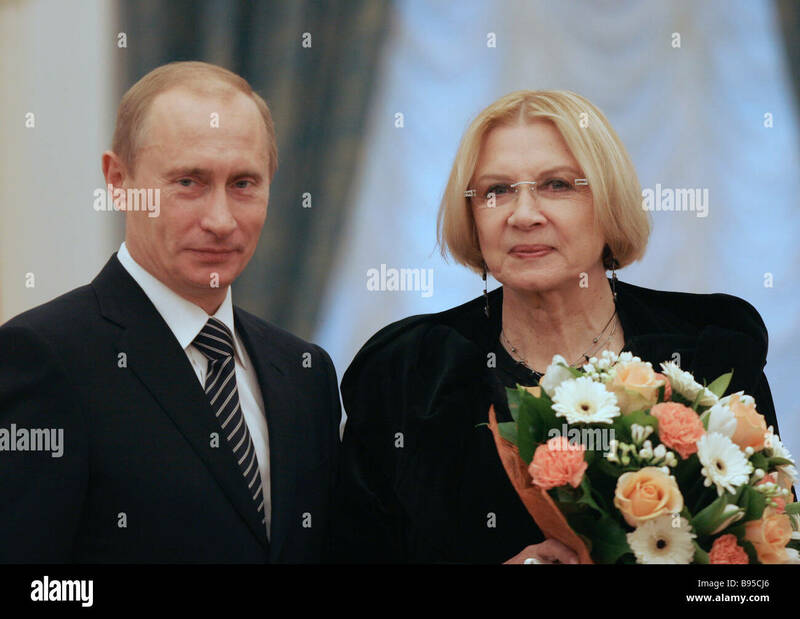 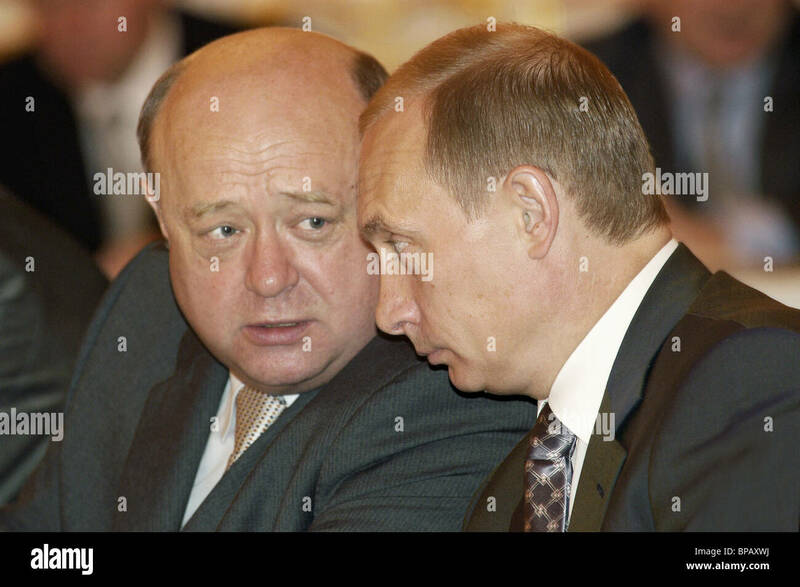 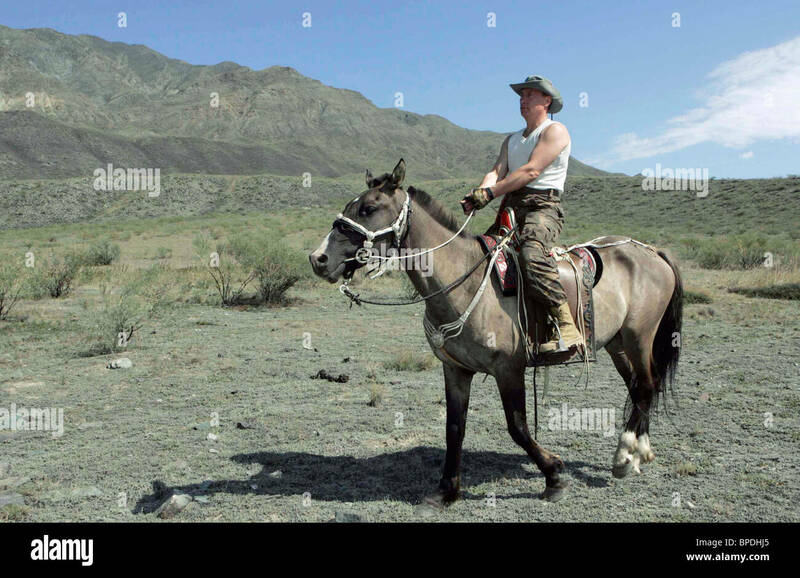 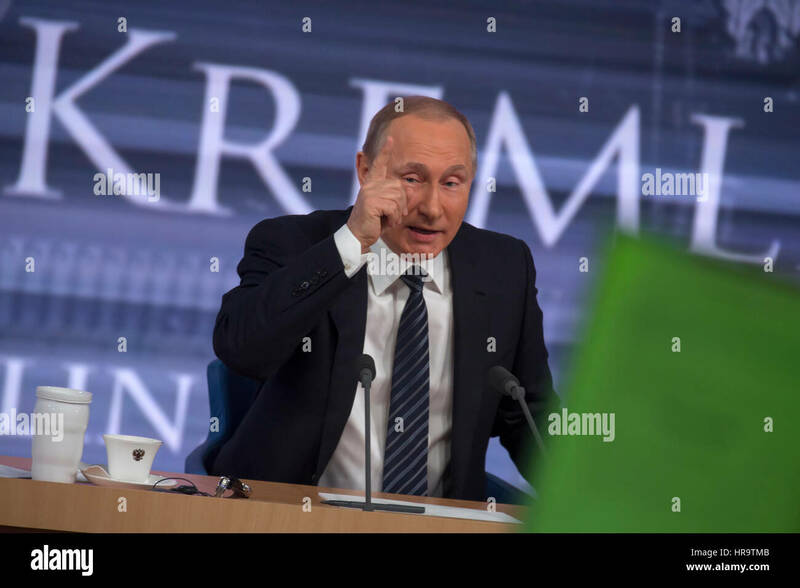 Putin told the group that patriotically Russian hackers could have been involved in cyberattacks to help elect Donald Trump but denied any state involvement. 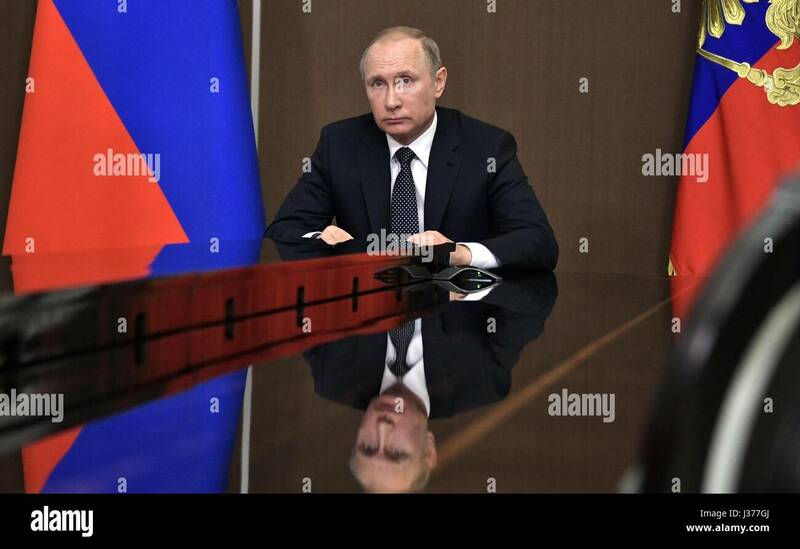 Russian President Vladimir Putin during a video conference to discuss wildfires in Siberian from his Black Sea residence May 2, 2017 in Sochi, Russia. 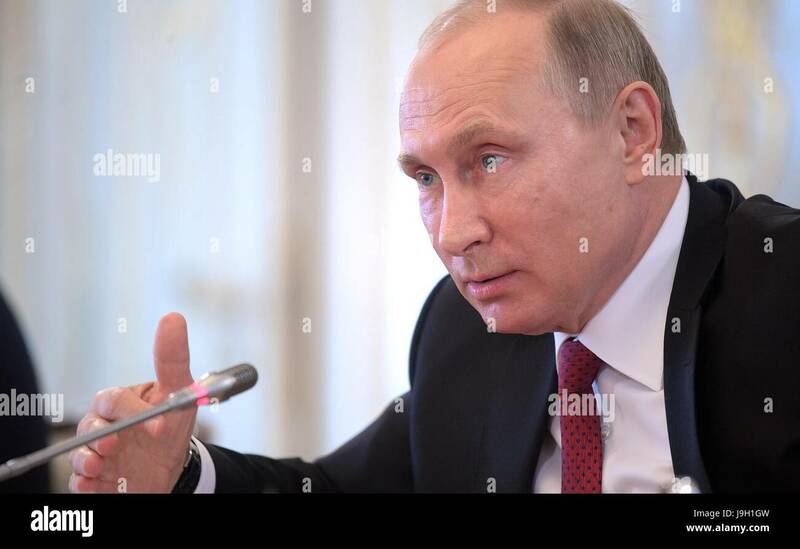 Putin declared a state of emergency as a wildfire destroyed 59 houses as more than 190 fires have burned across the region since the start of spring. 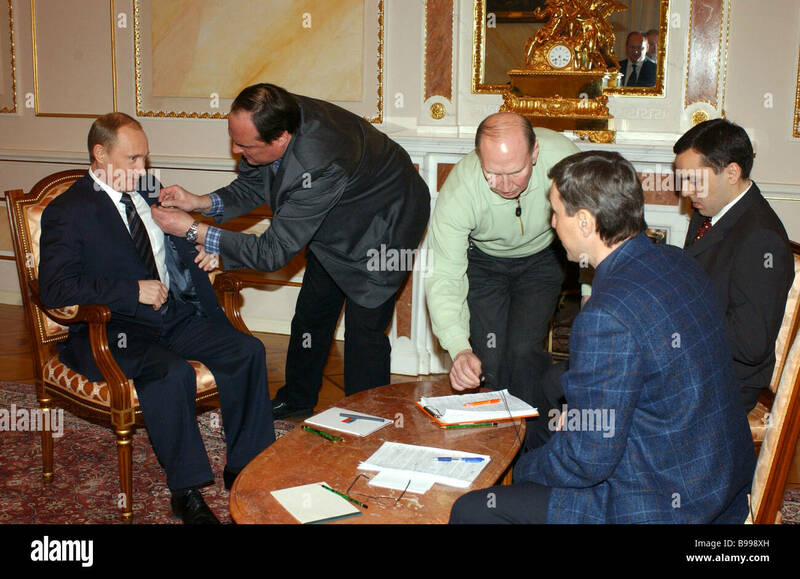 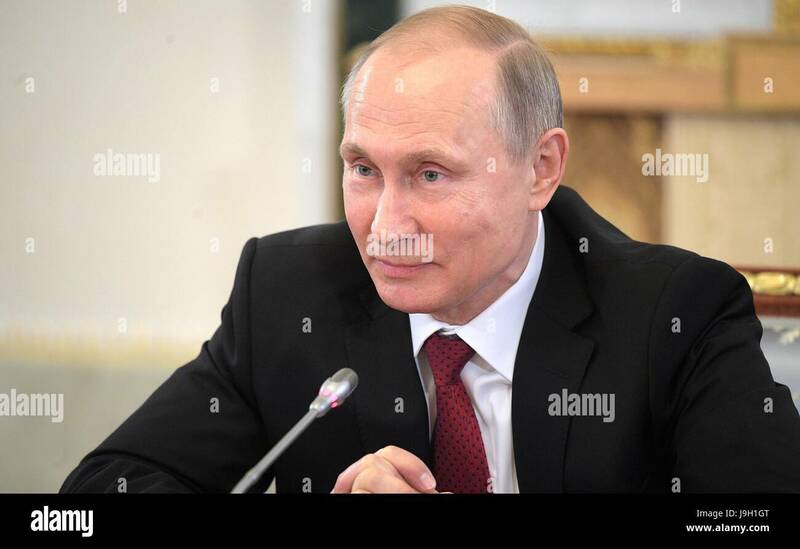 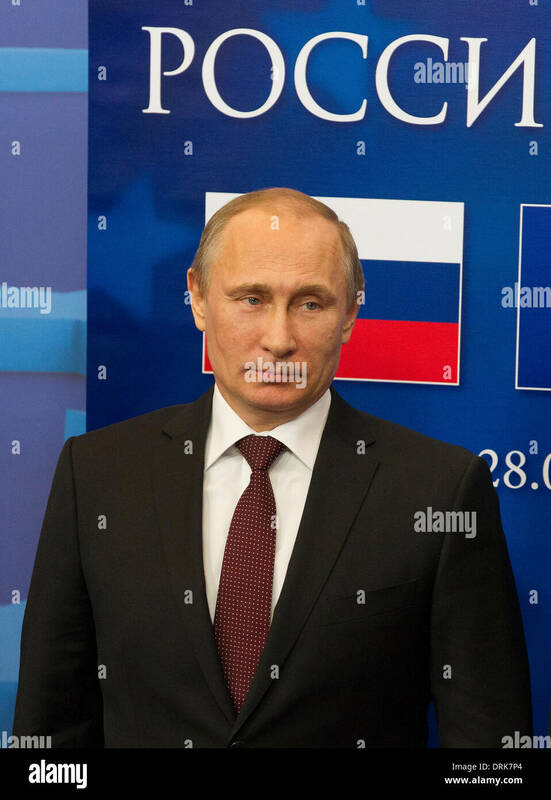 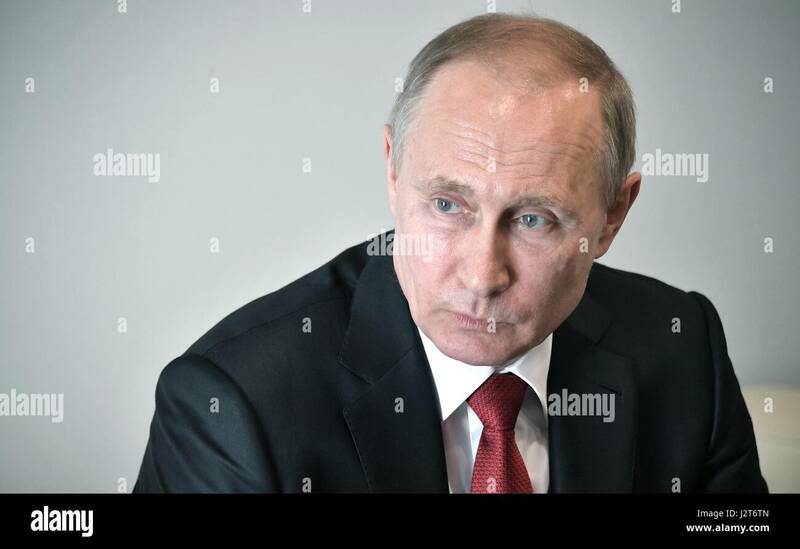 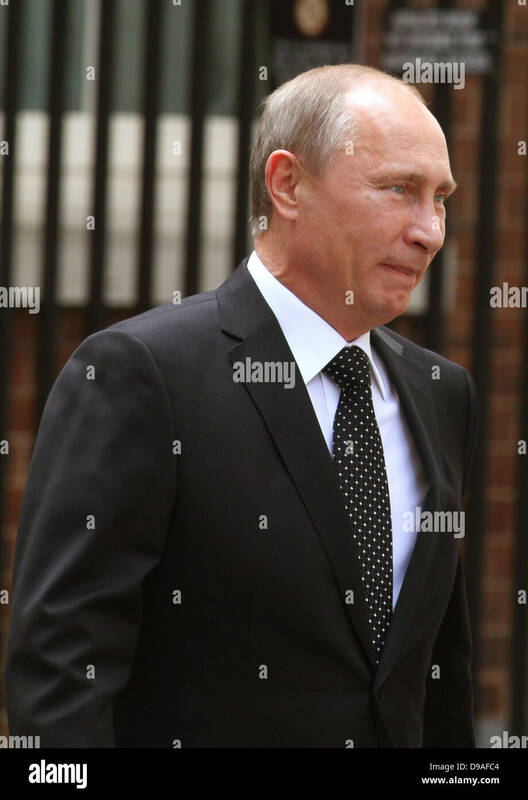 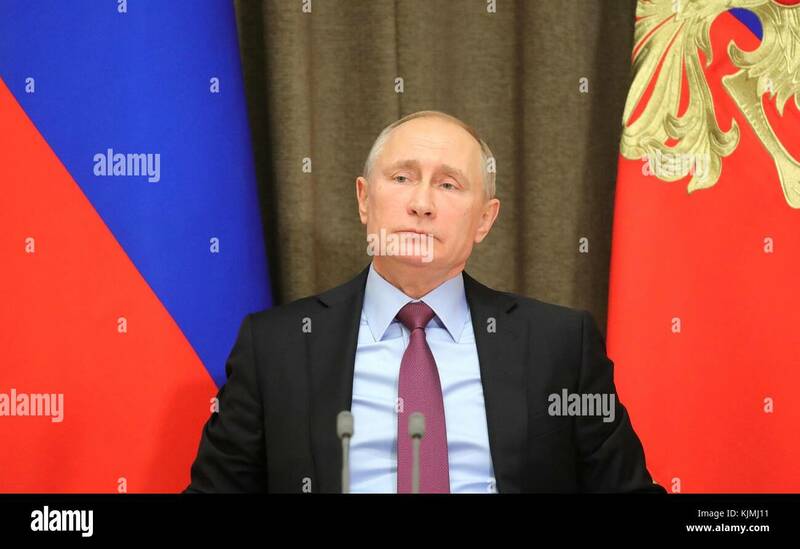 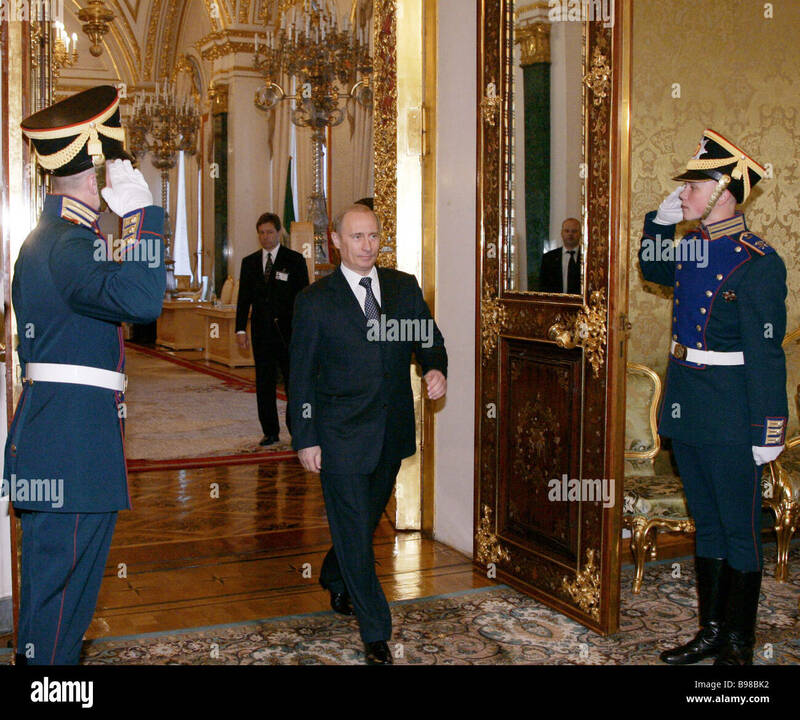 Russian President Vladimir Putin during a meeting with Defence officials at the Bocharov Ruchei residence November 22, 2017 in Sochi, Russia. 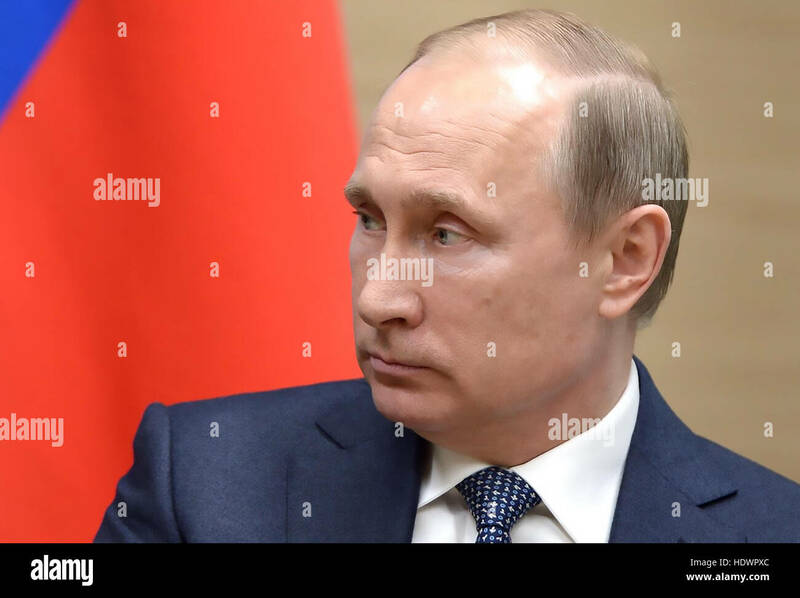 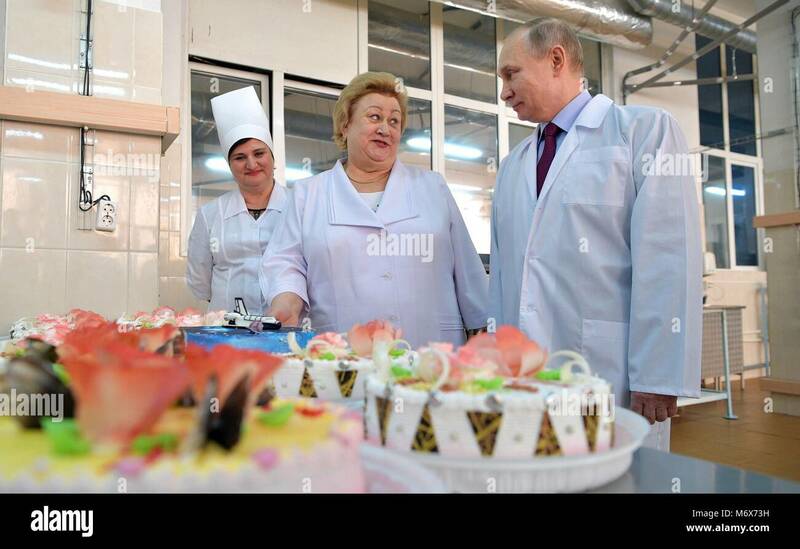 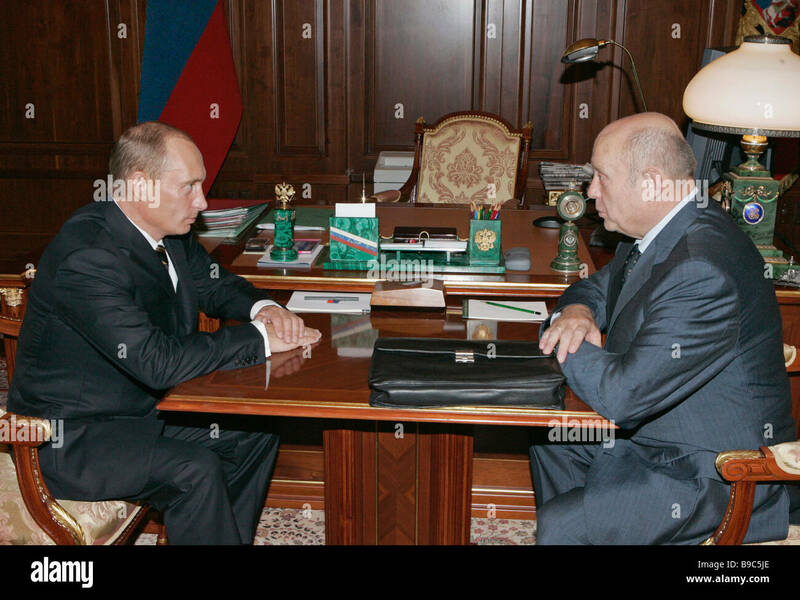 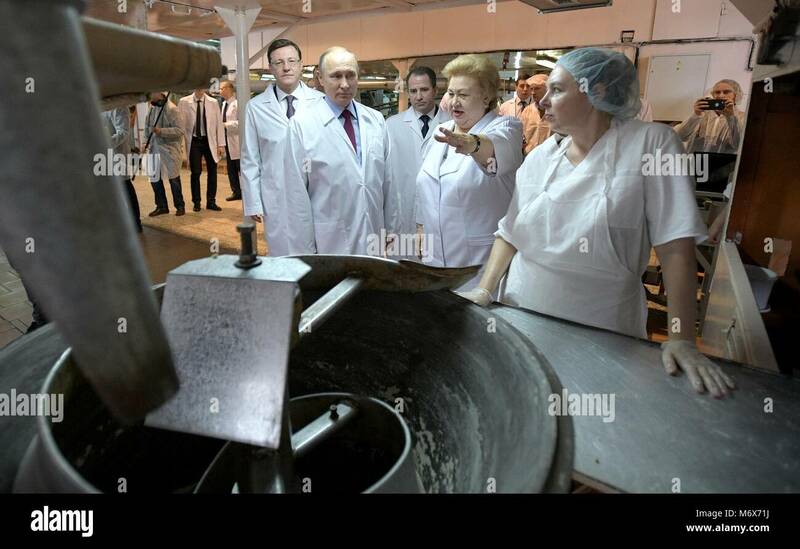 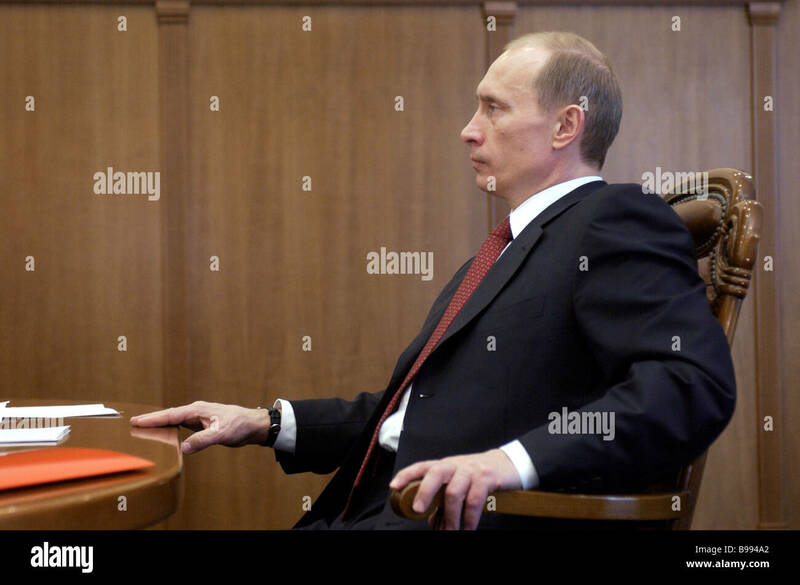 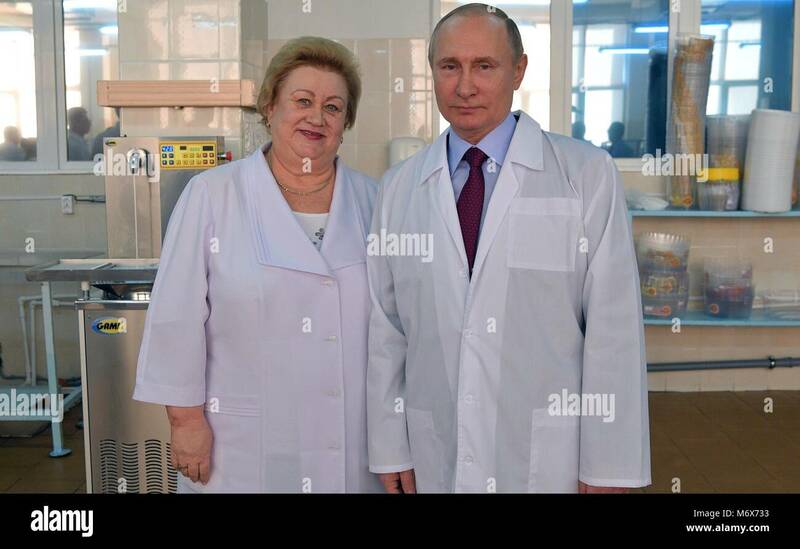 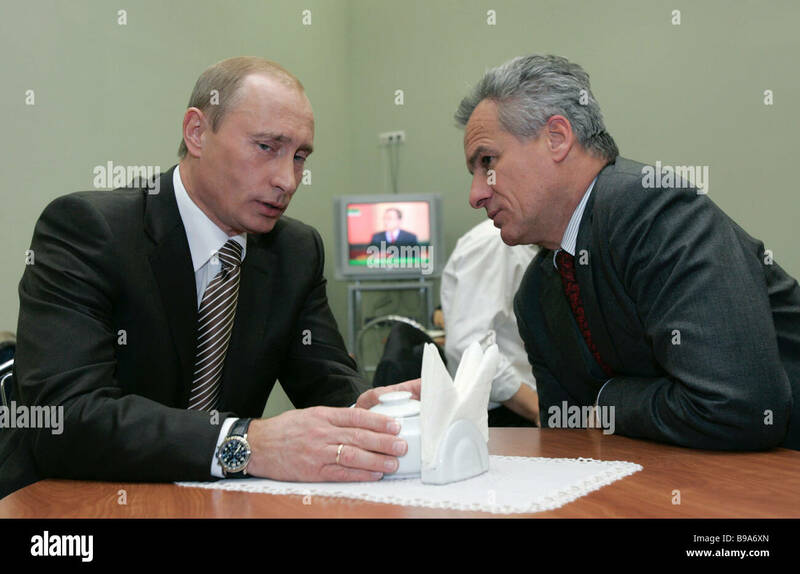 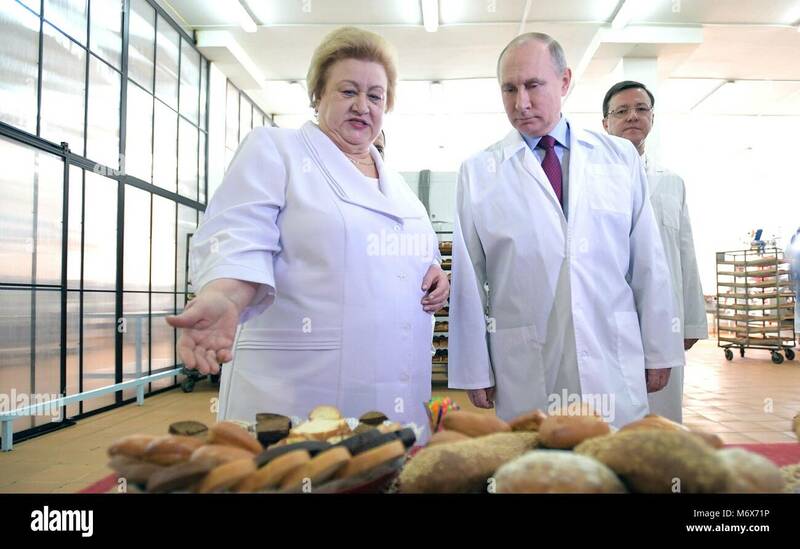 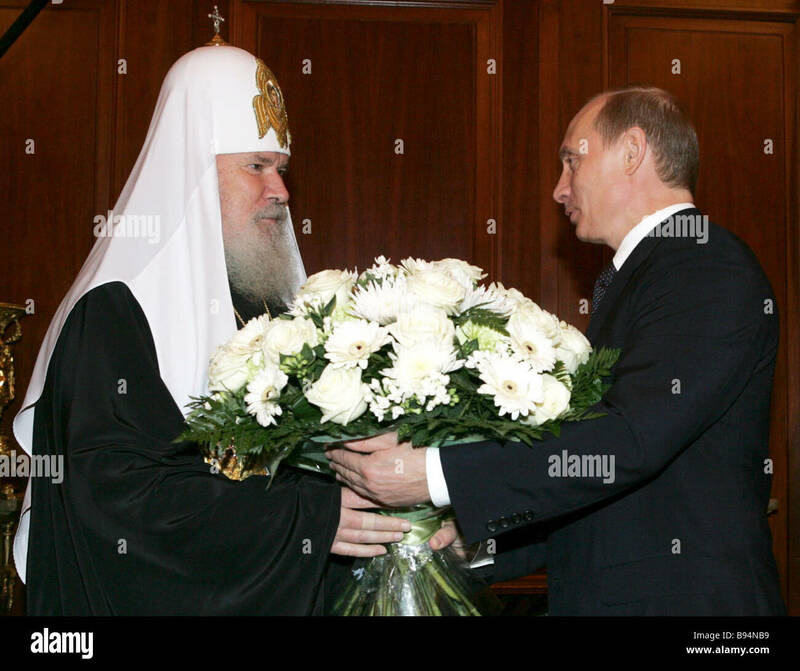 Russian President Vladimir Putin during a meeting with officials from Pirelli Tire Company April 30, 2017 in Sochi, Russia. 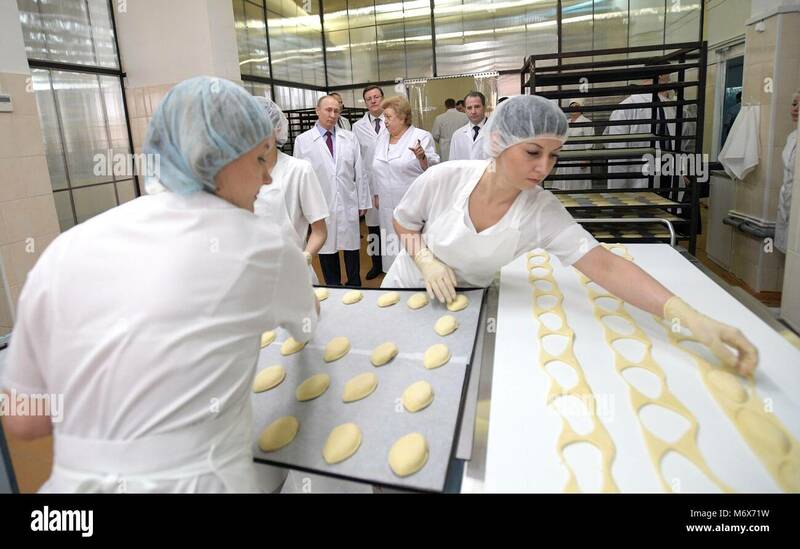 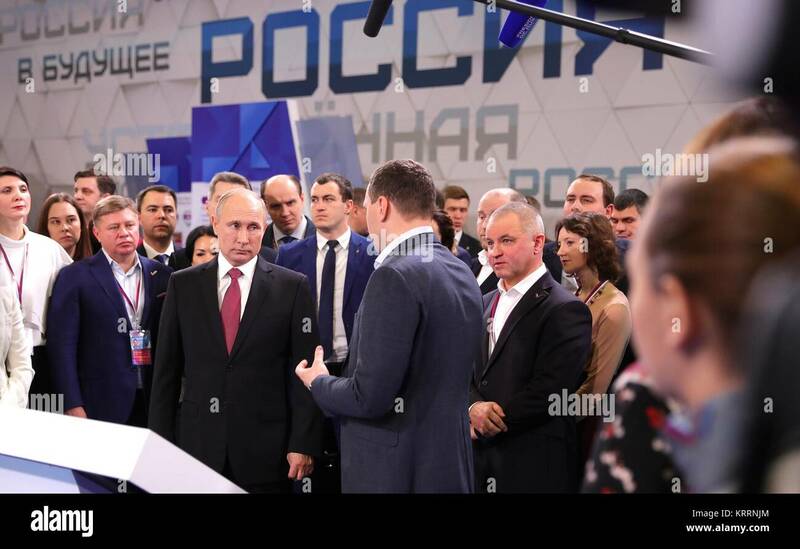 Russian President Vladimir Putin tours an exhibition on the Future of Russia before addressing supporters at the All-Russia People's Front movement kicking off his campaign for re-election December 19, 2017 in Moscow, Russia. 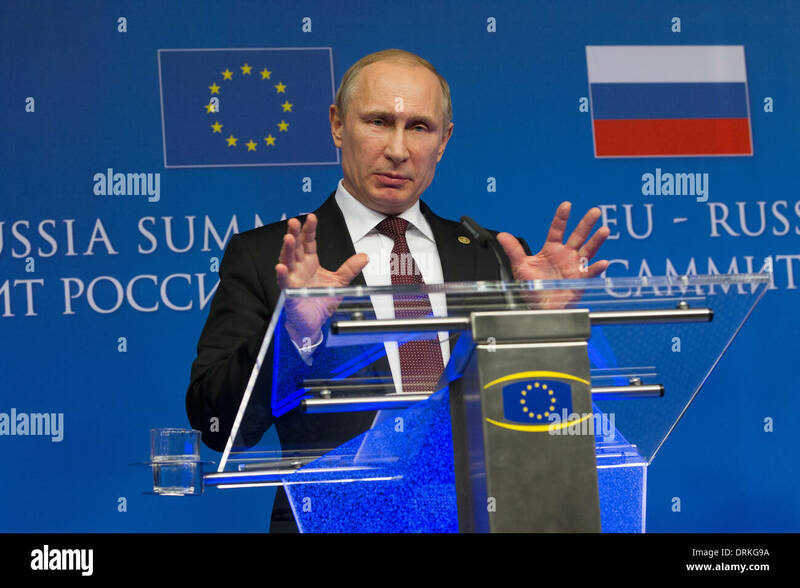 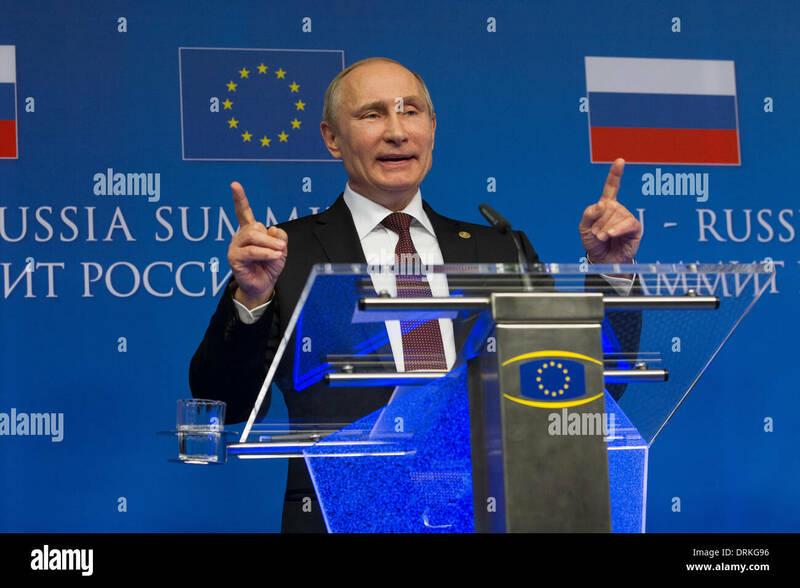 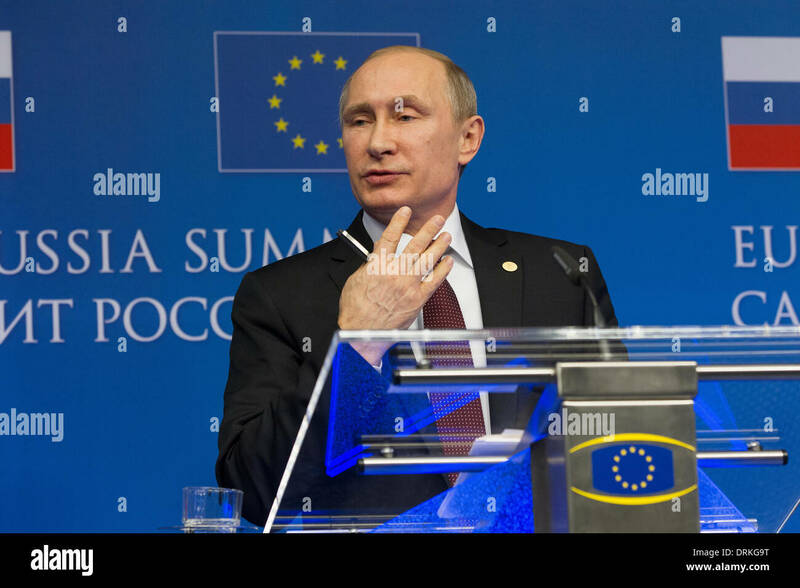 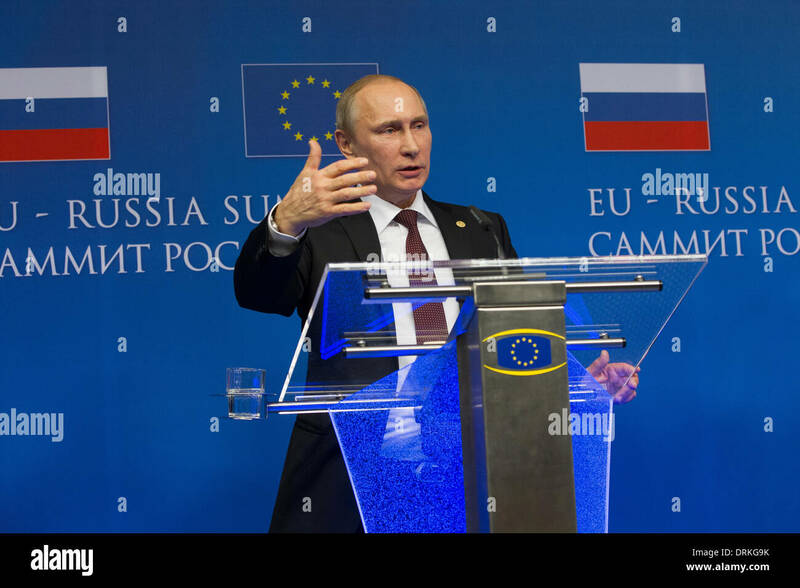 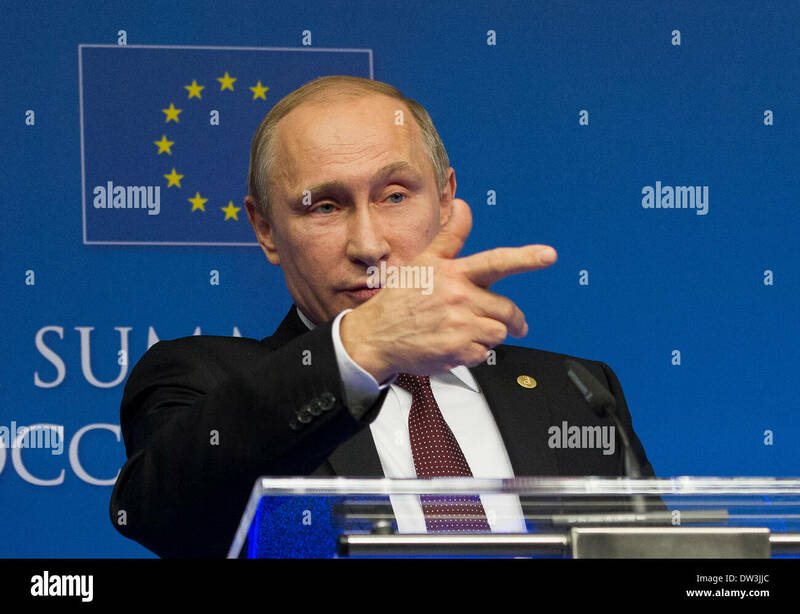 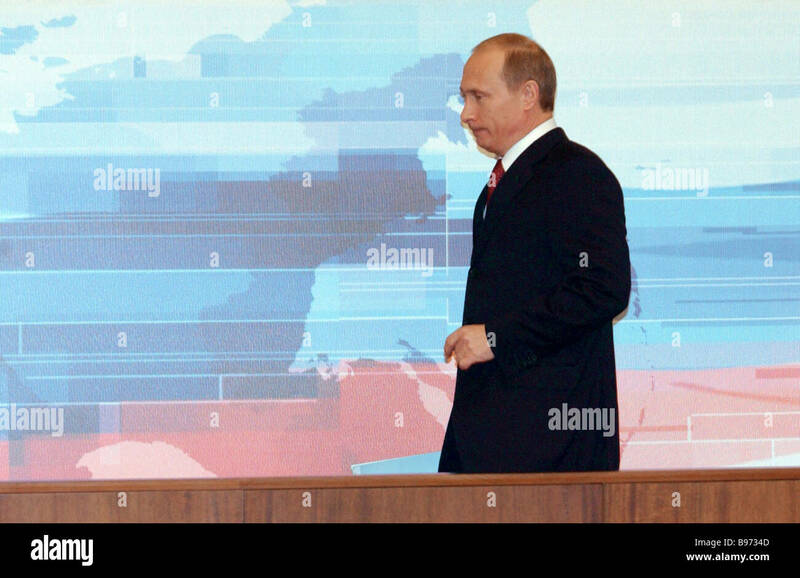 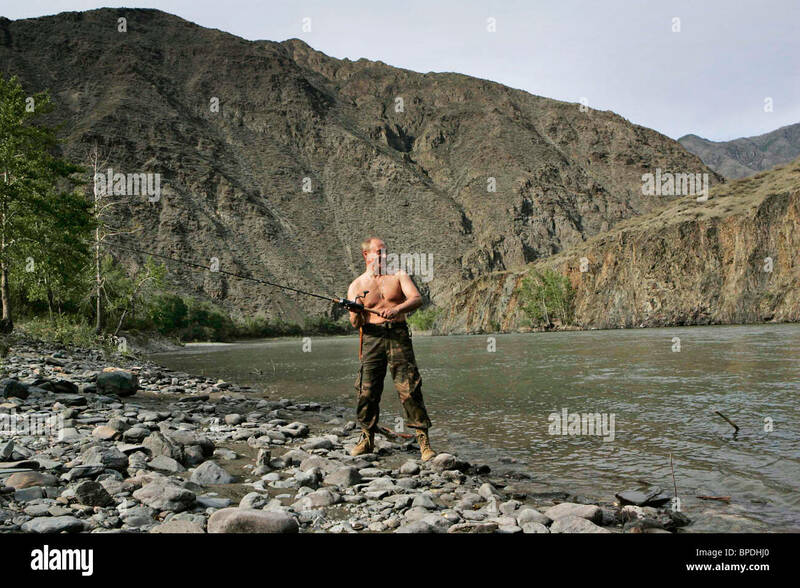 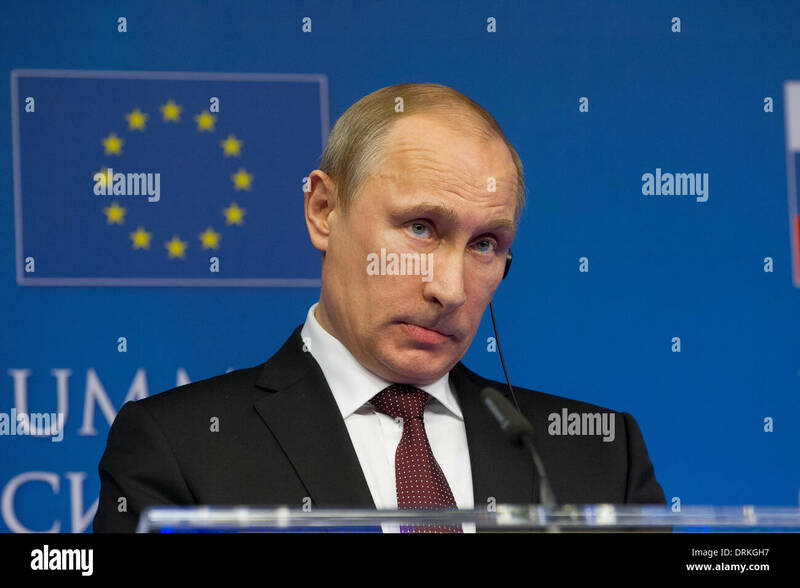 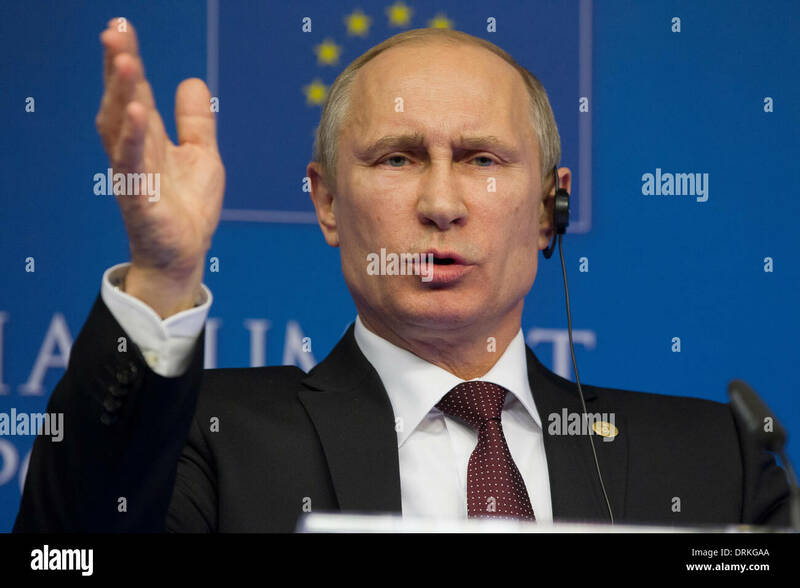 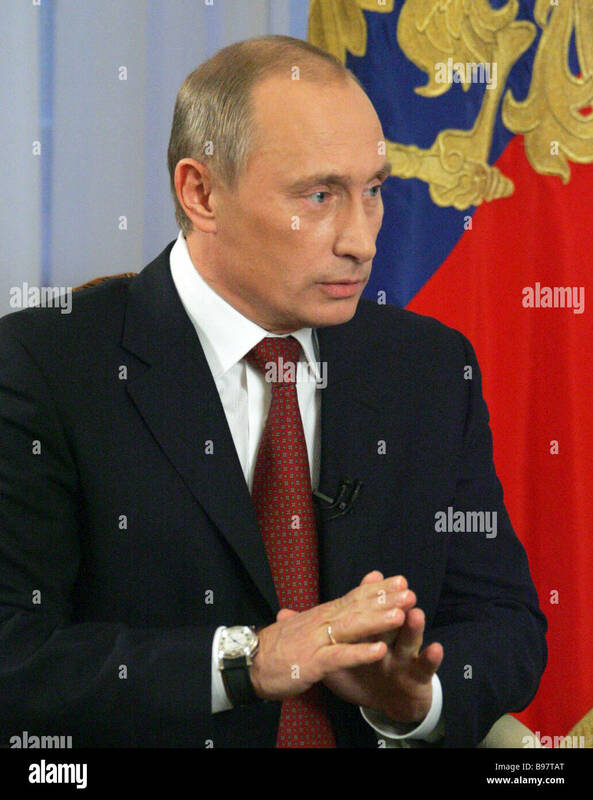 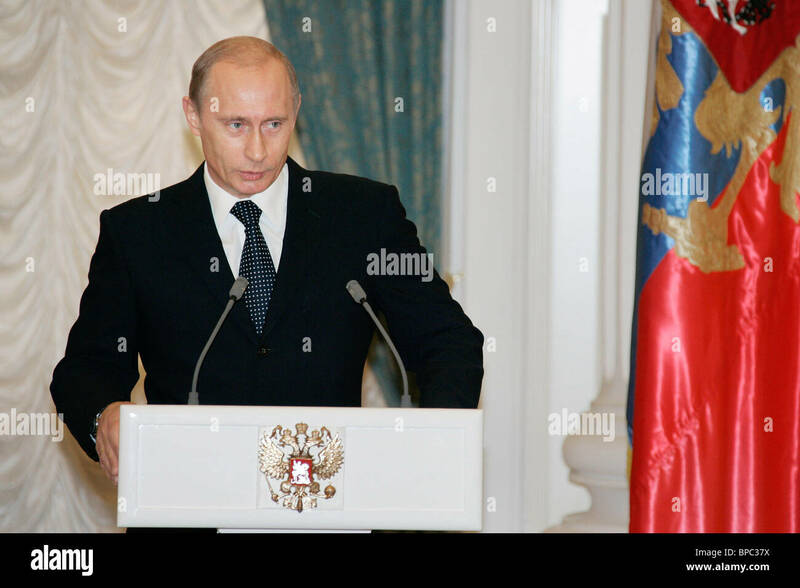 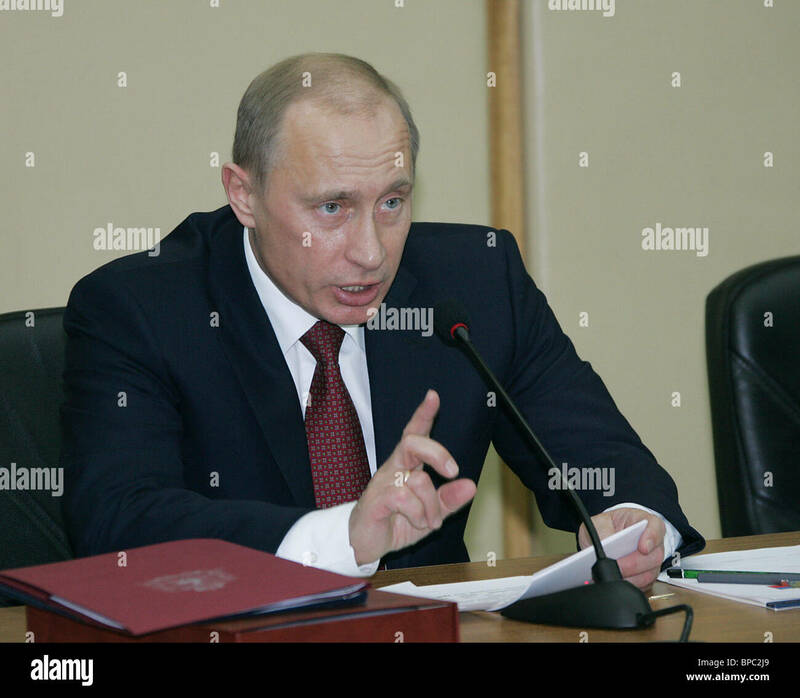 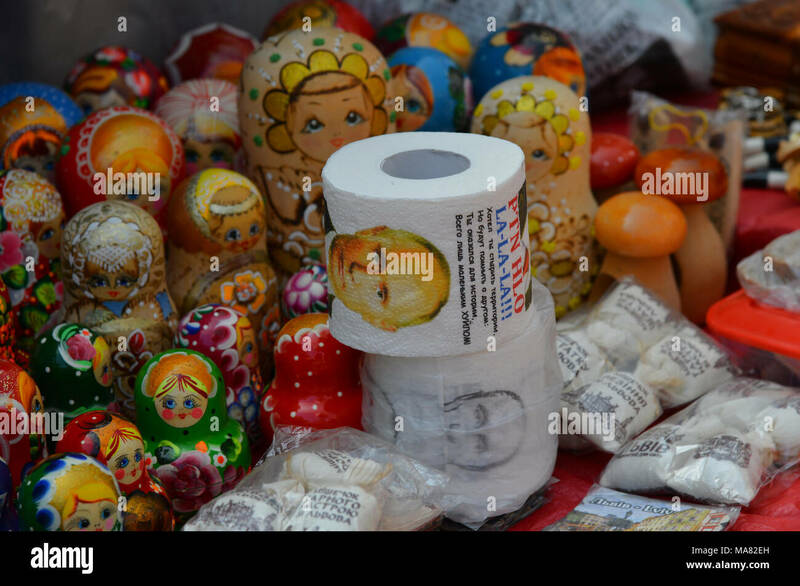 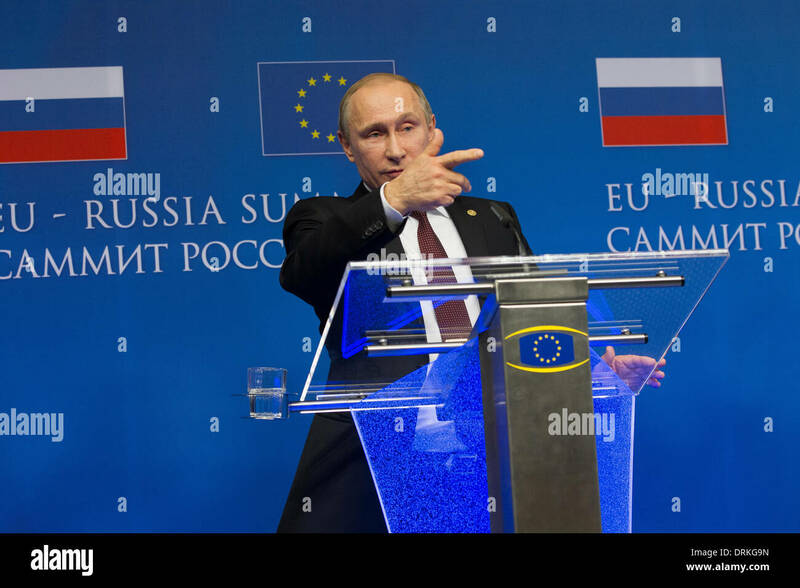 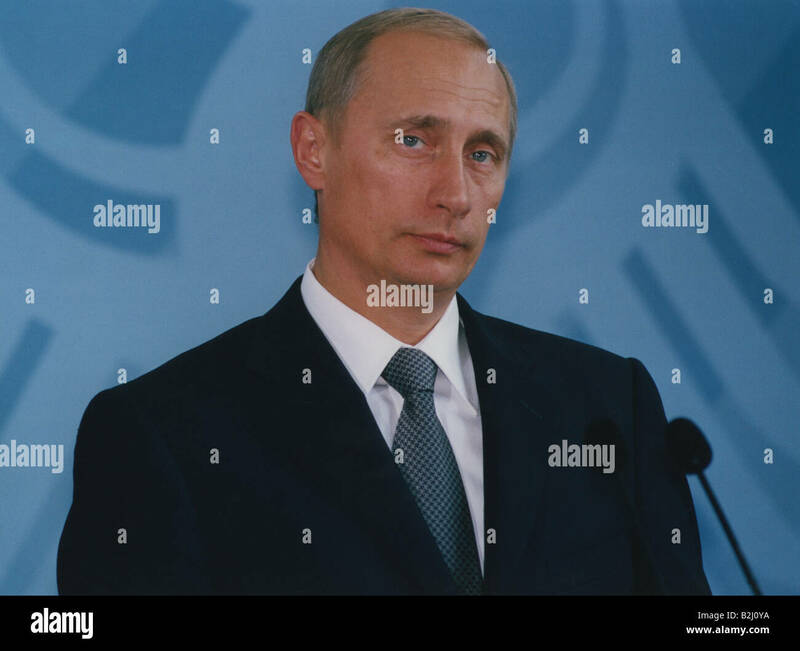 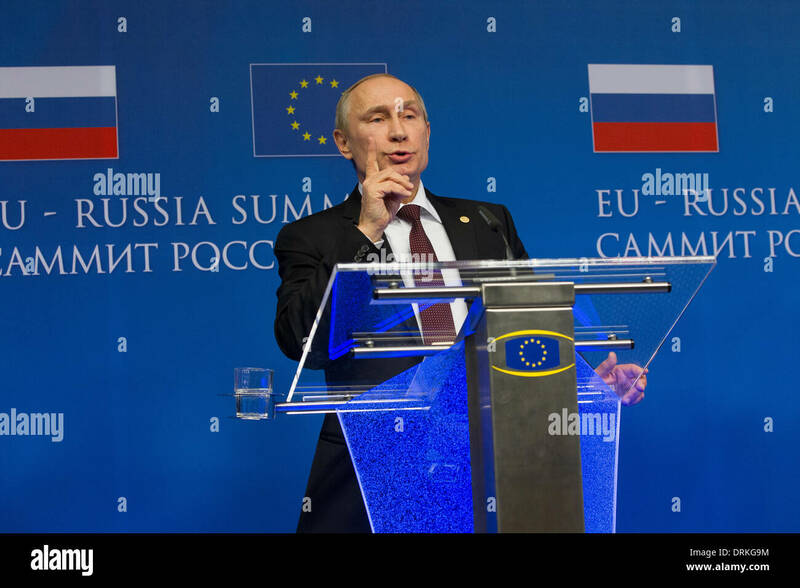 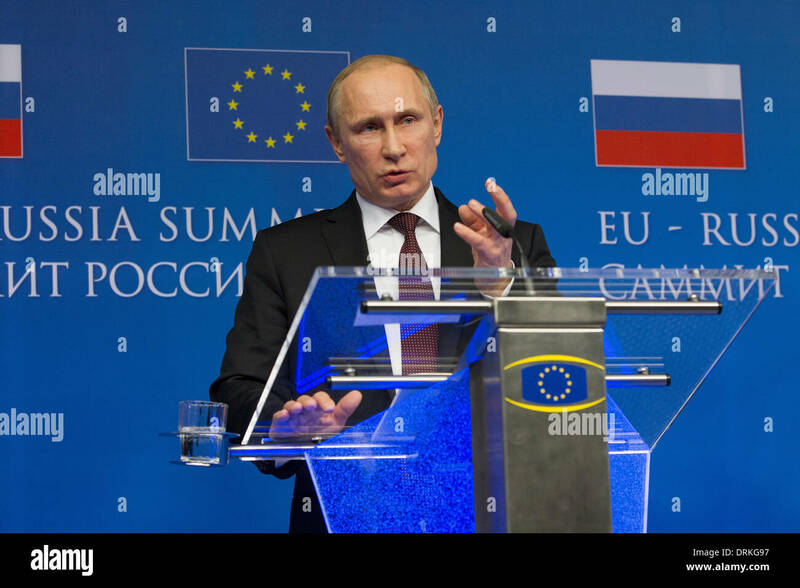 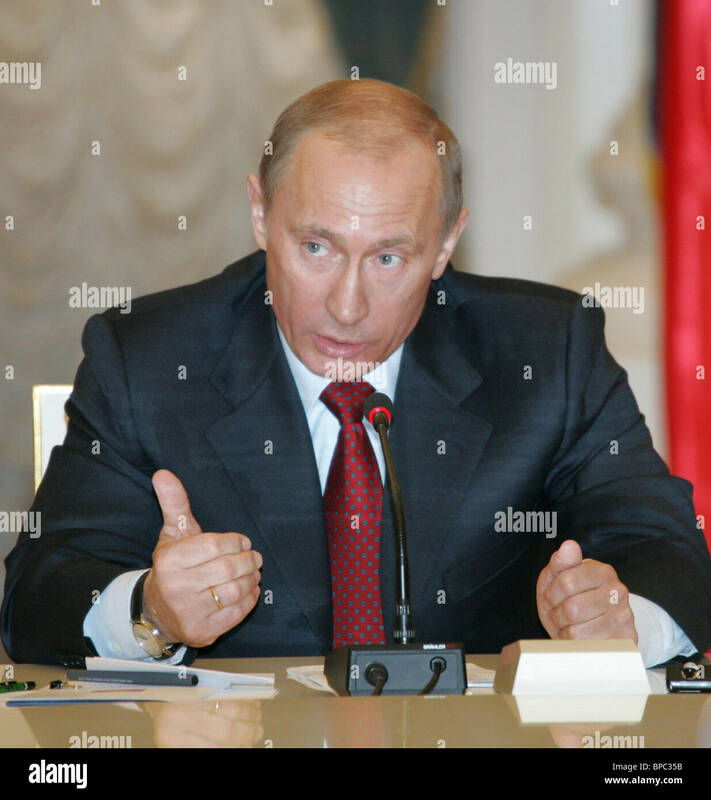 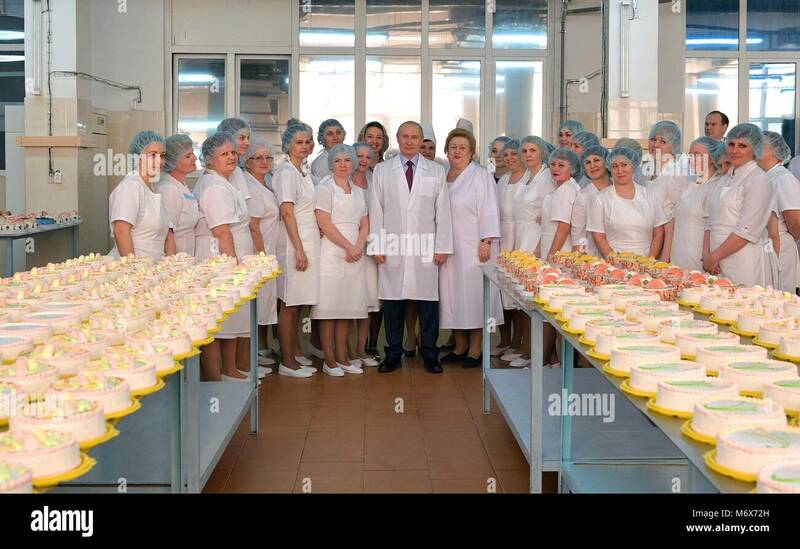 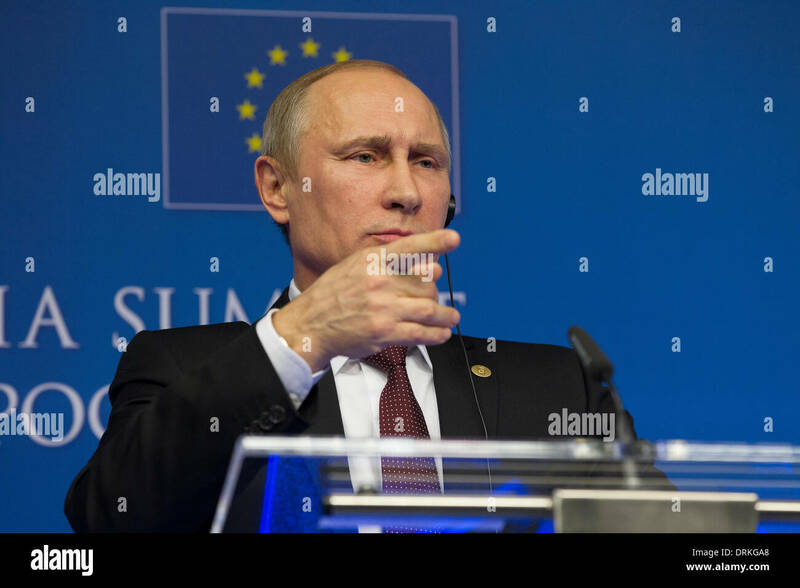 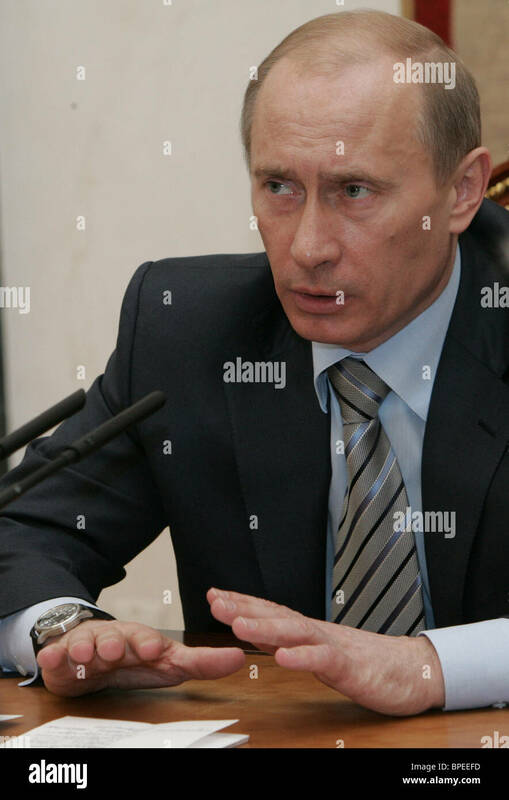 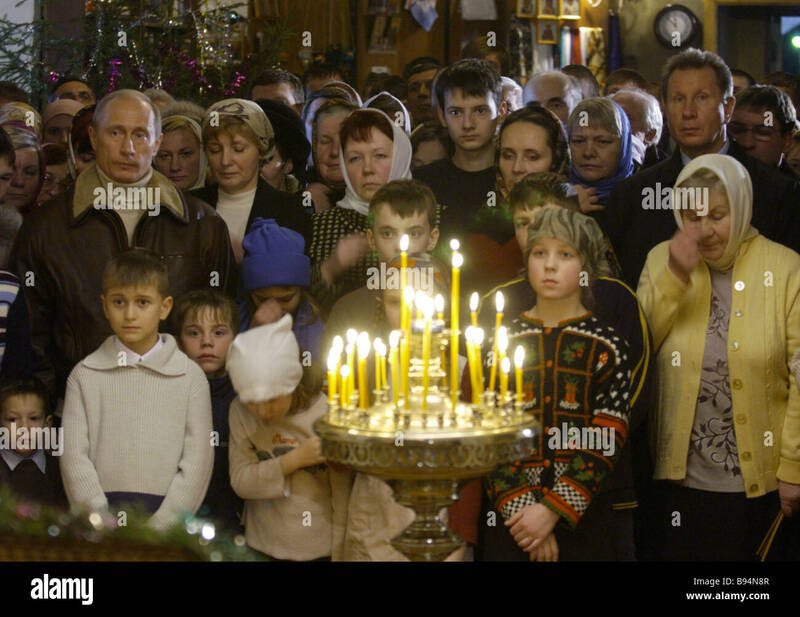 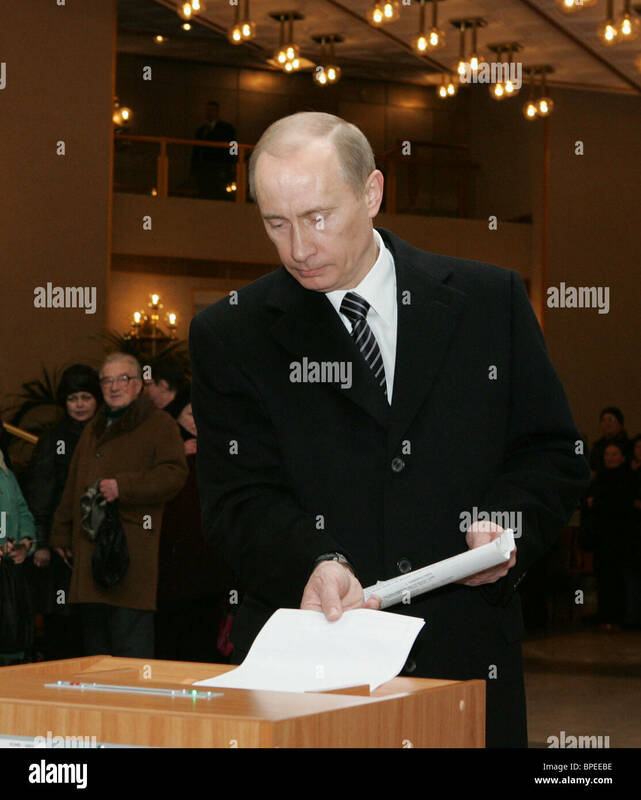 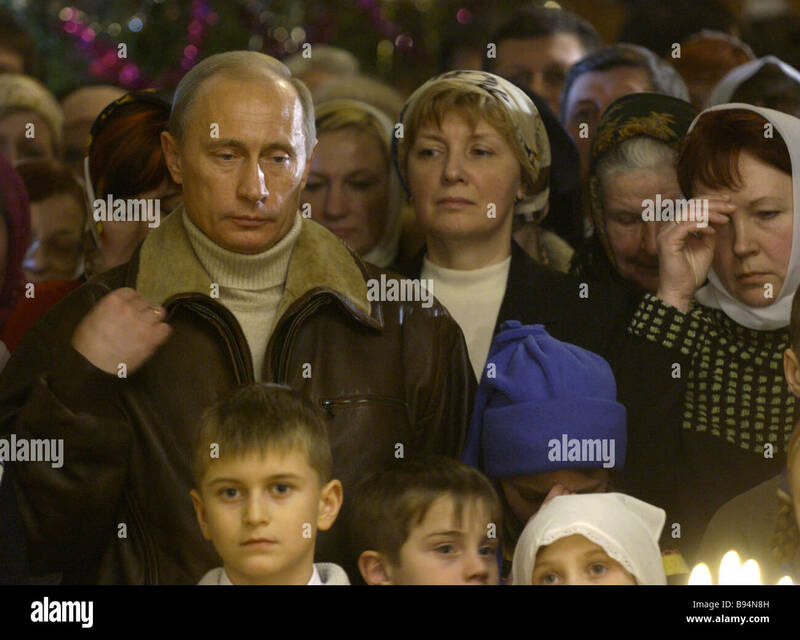 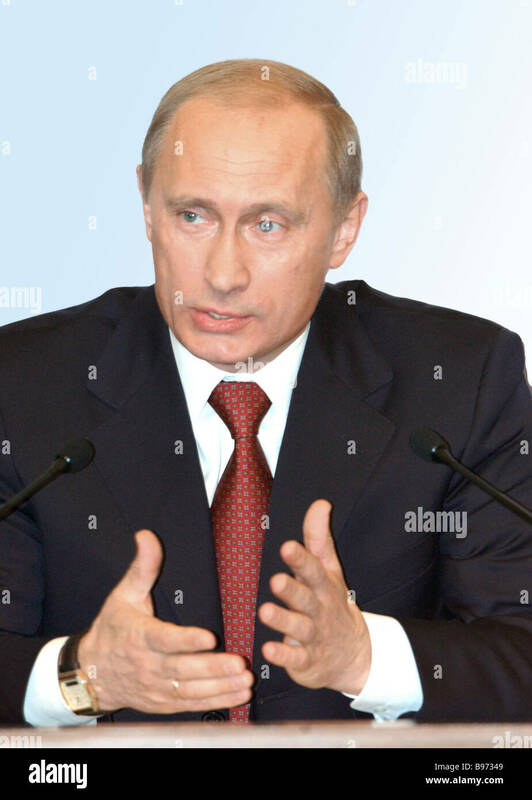 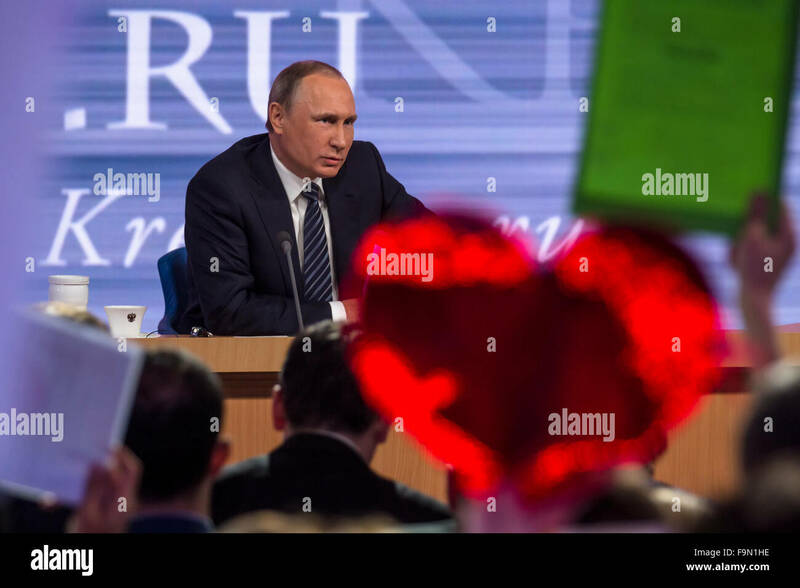 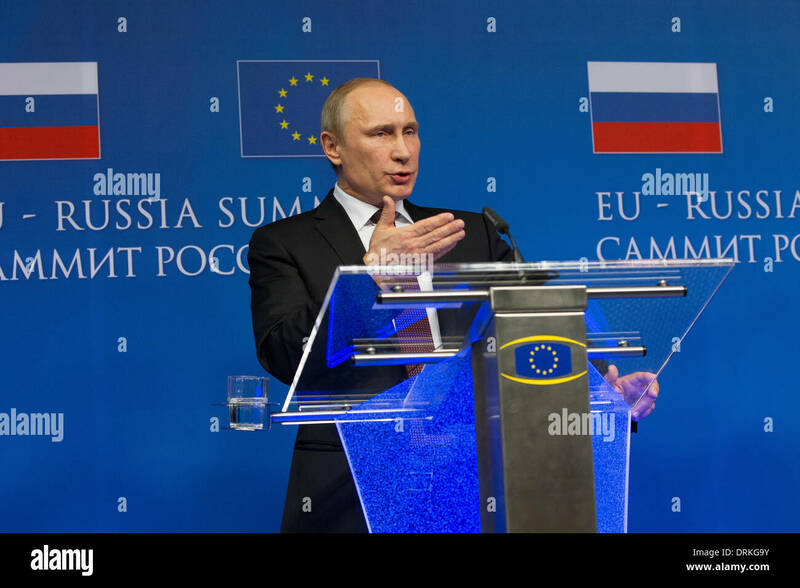 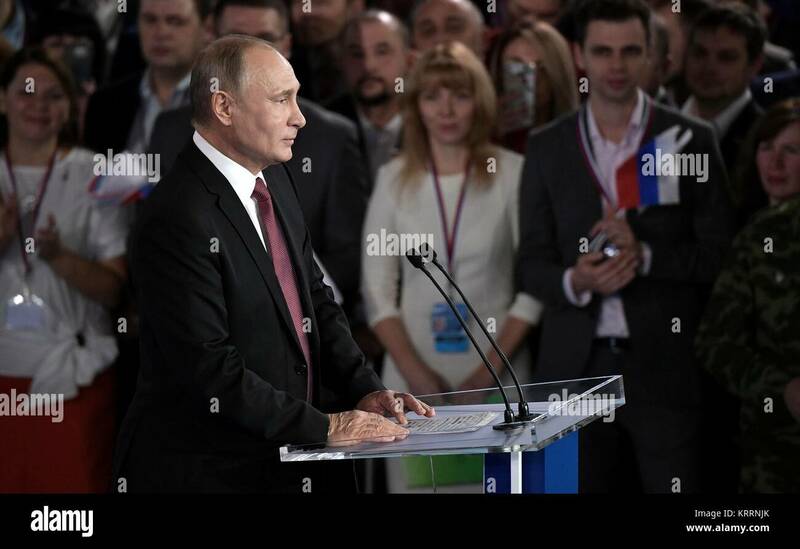 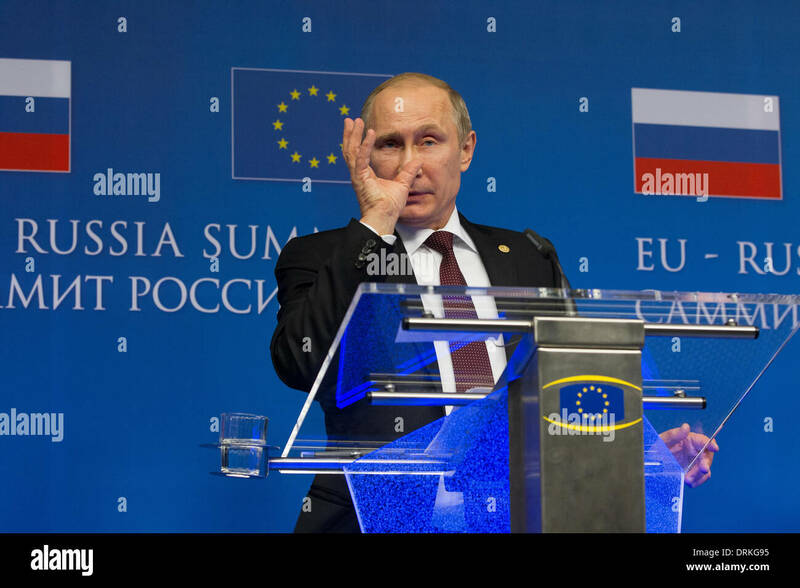 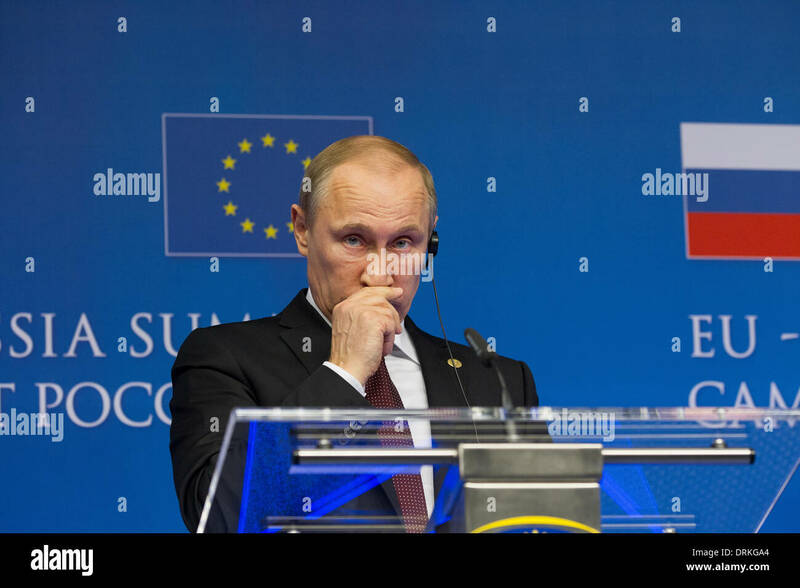 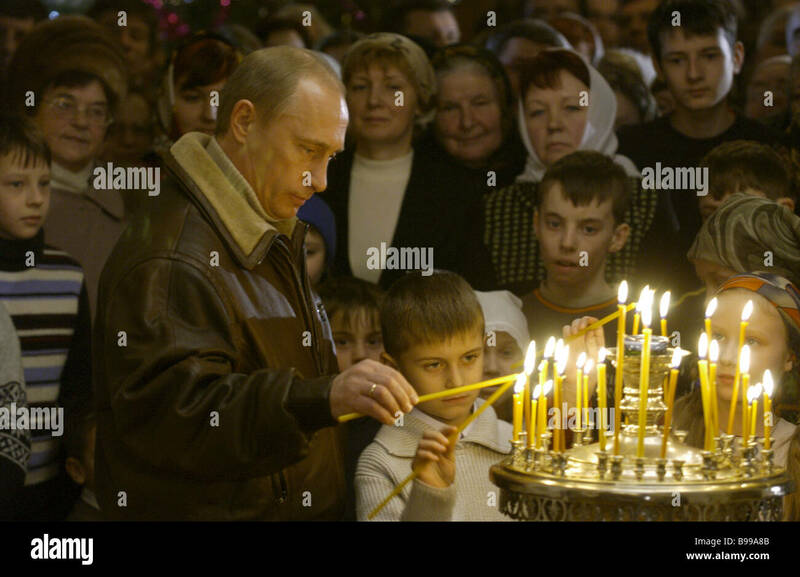 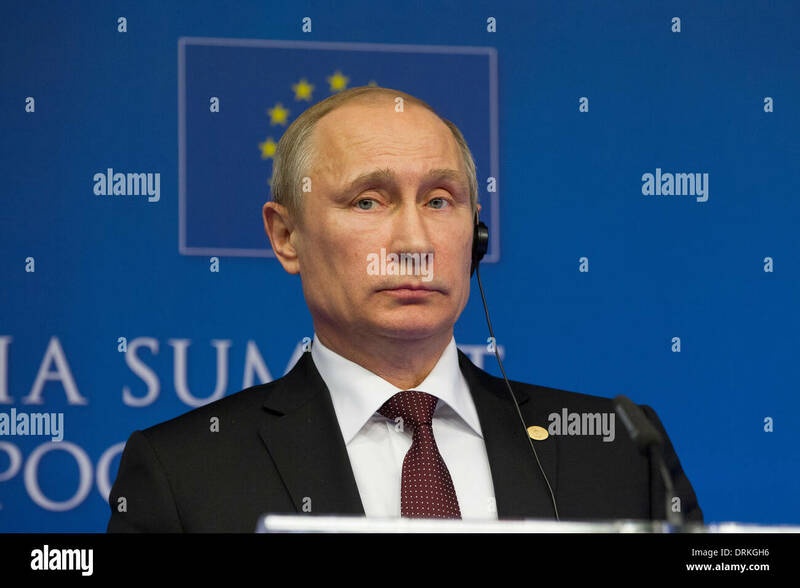 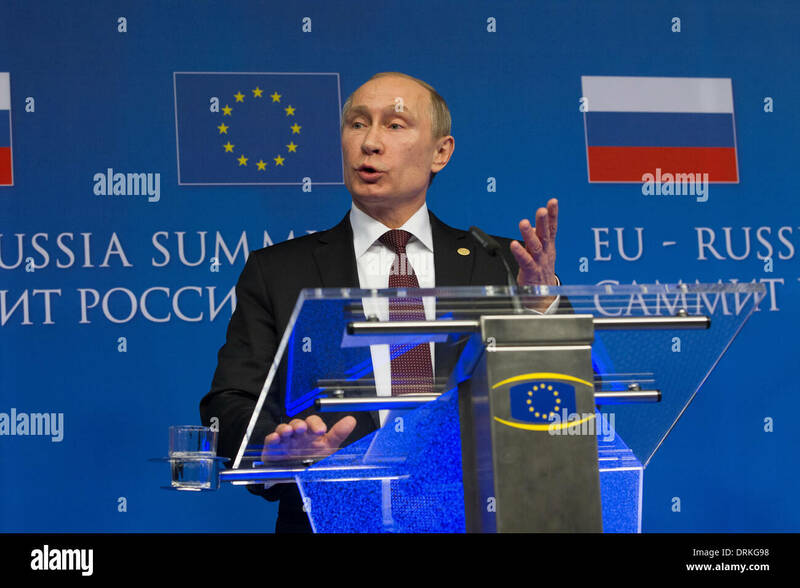 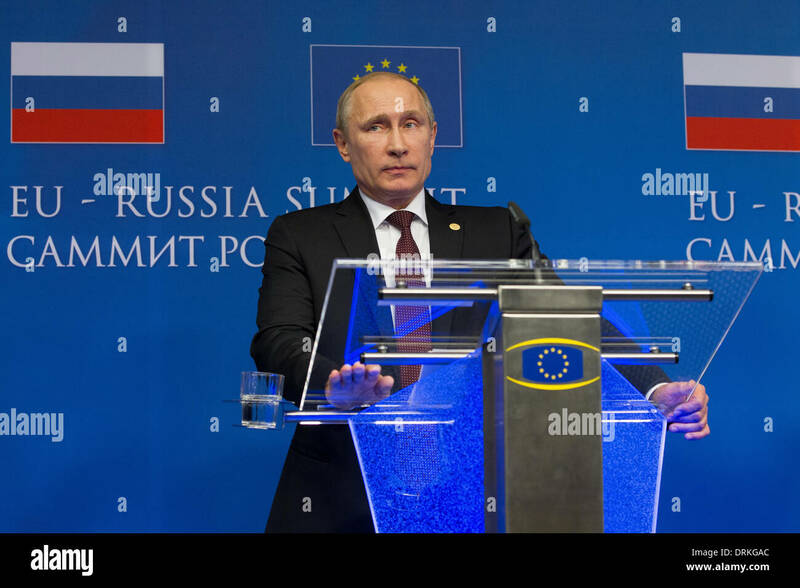 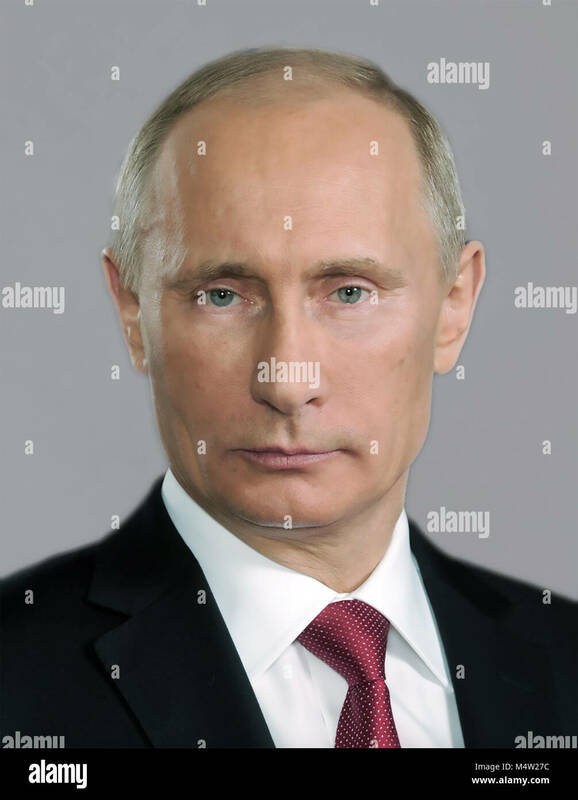 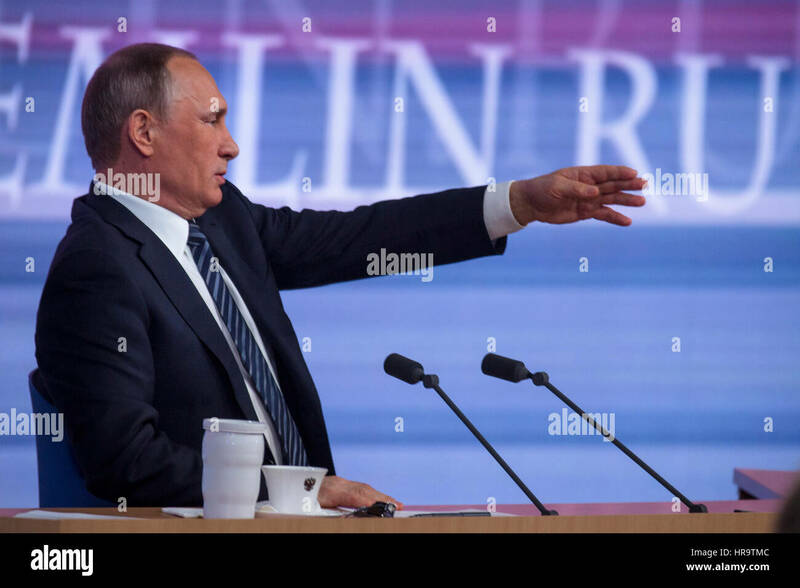 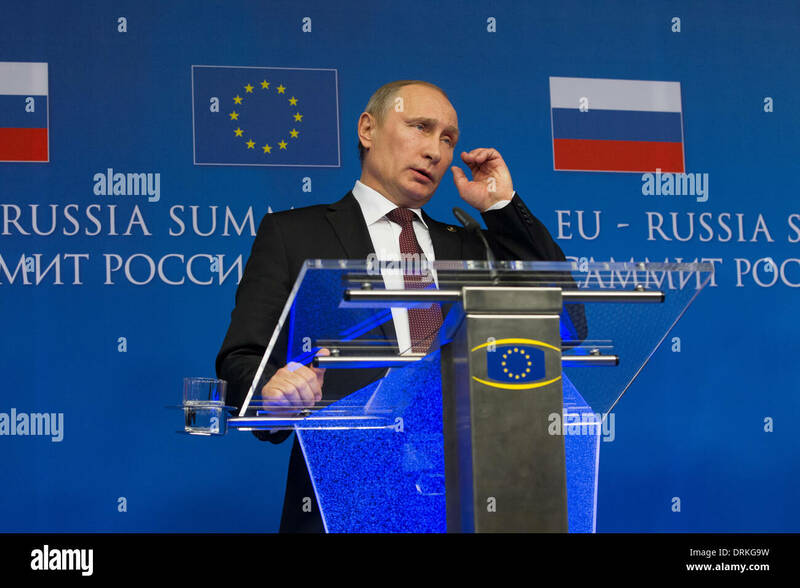 Russian President Vladimir Putin addresses the All-Russia People's Front movement kicking off his campaign for re-election December 19, 2017 in Moscow, Russia. 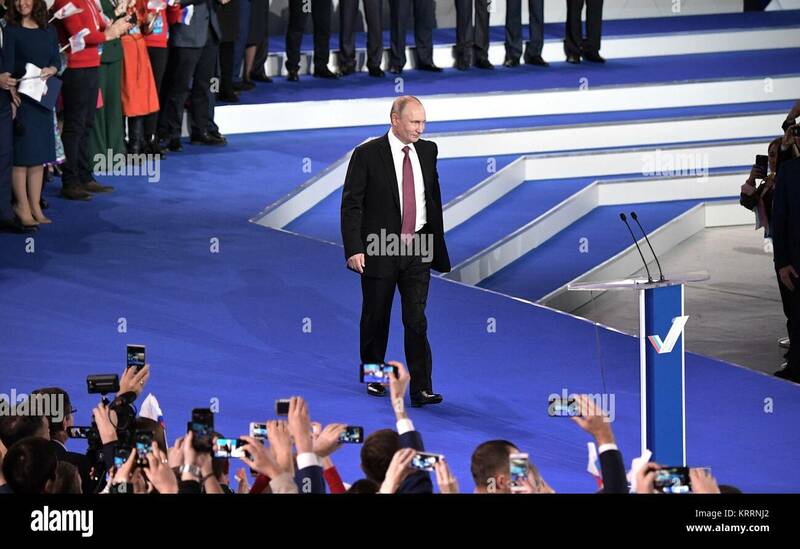 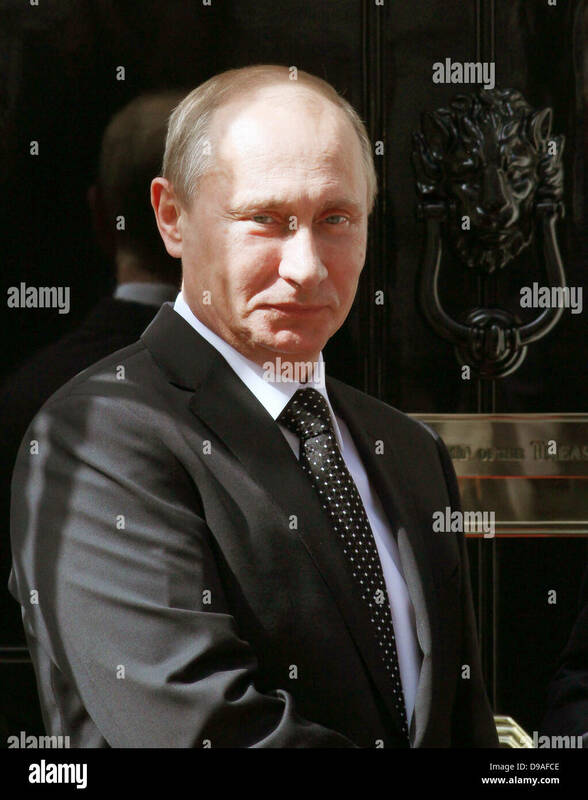 Russian President Vladimir Putin walks on to stage to address the All-Russia People's Front movement kicking off his campaign for re-election December 19, 2017 in Moscow, Russia. 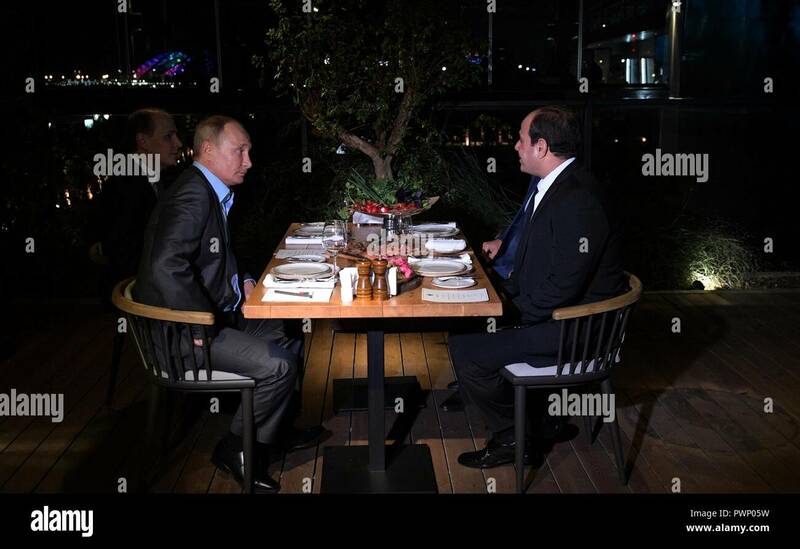 Russian President Vladimir Putin and Egyptian President Abdel Fattah el-Sisi, right, hold an Informal meeting at an outdoor restaurant October 16, 2018 in Sochi, Russia. 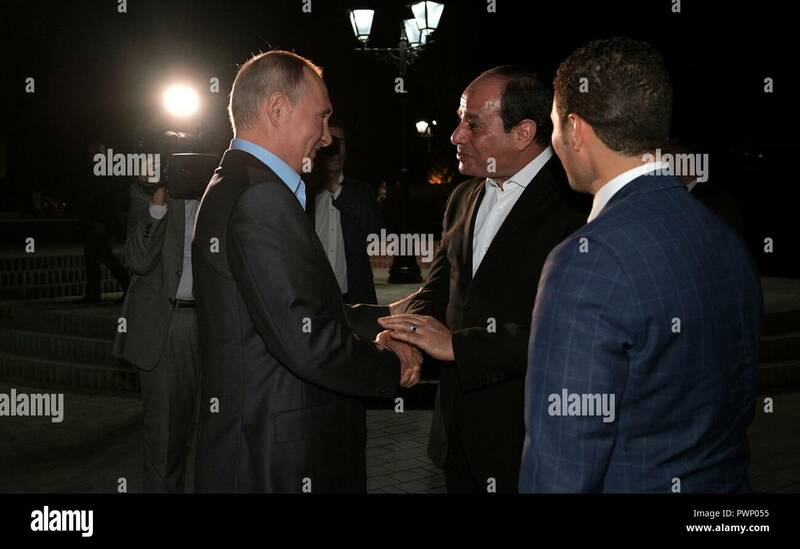 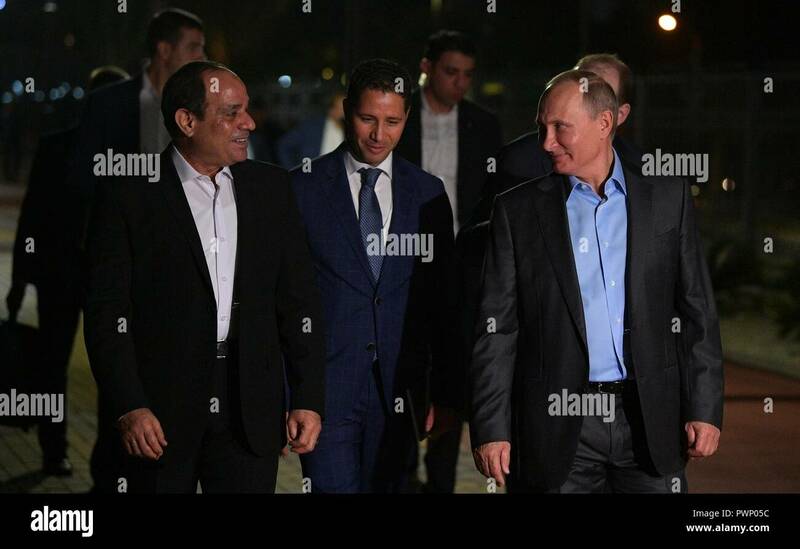 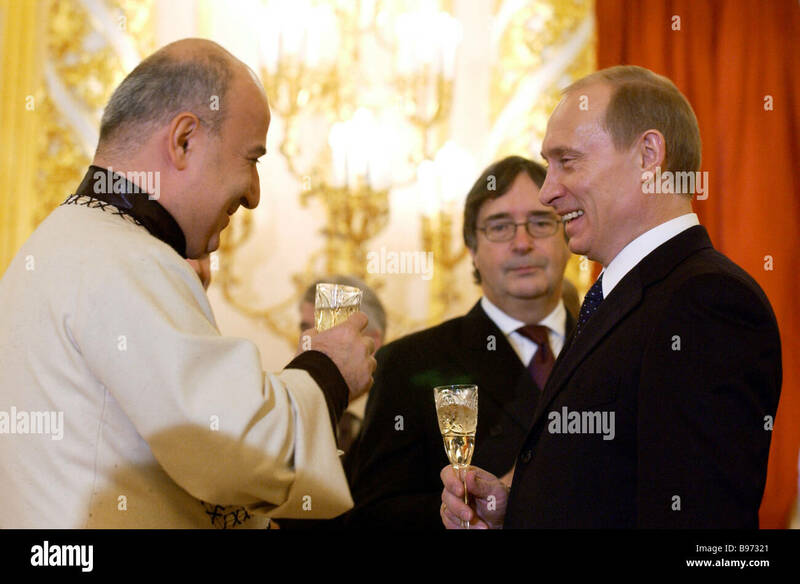 Russian President Vladimir Putin greets Egyptian President Abdel Fattah el-Sisi for an Informal meeting while taking an evening walking around the city October 16, 2018 in Sochi, Russia. 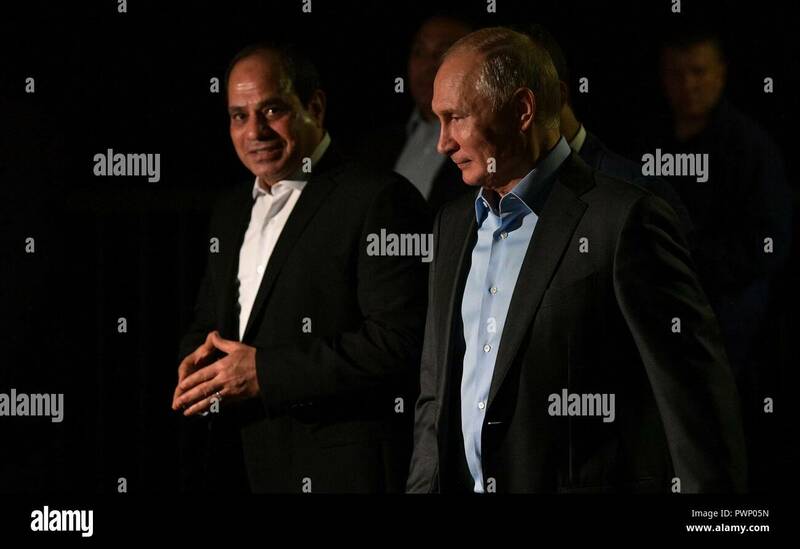 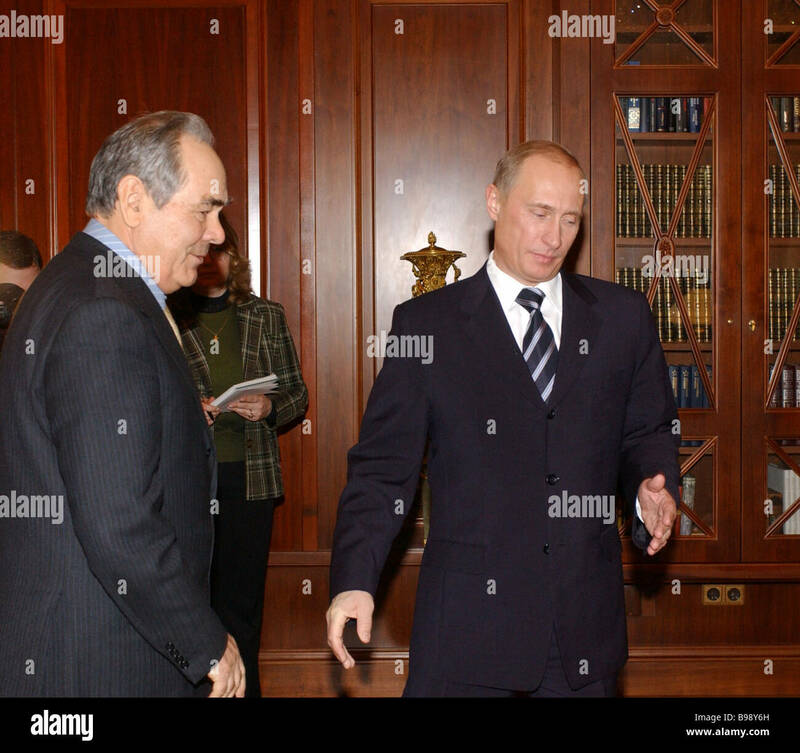 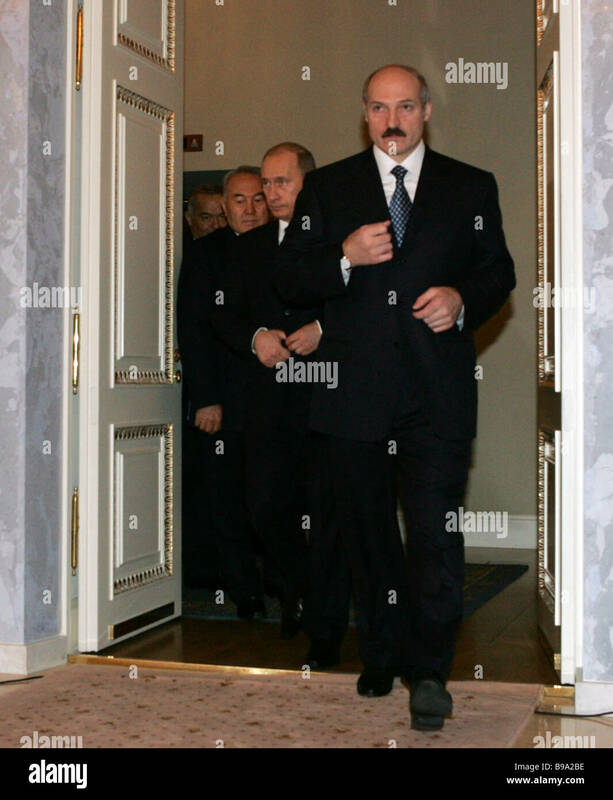 Russian President Vladimir Putin walks with Egyptian President Abdel Fattah el-Sisi, left, for an Informal meeting while taking an evening out around the city October 16, 2018 in Sochi, Russia.